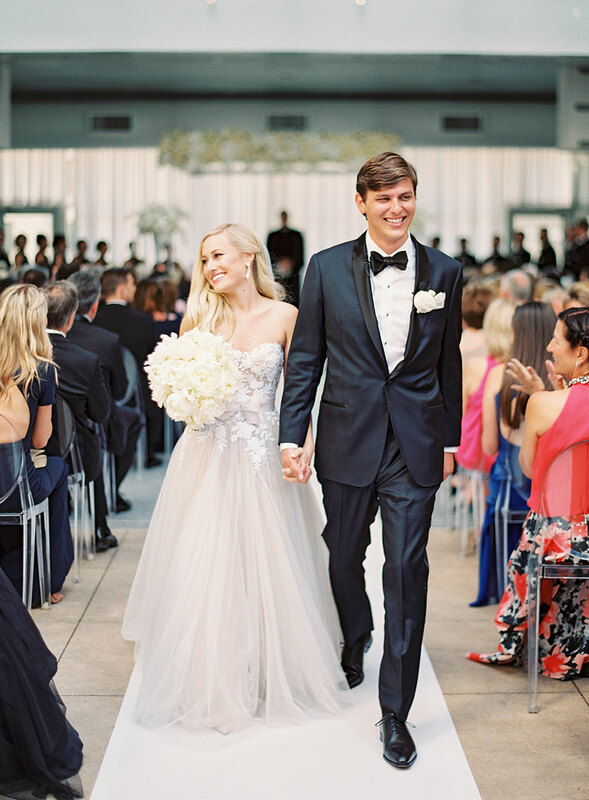 It’s hard to deny the elegance and wow factor of a traditional ballroom wedding. 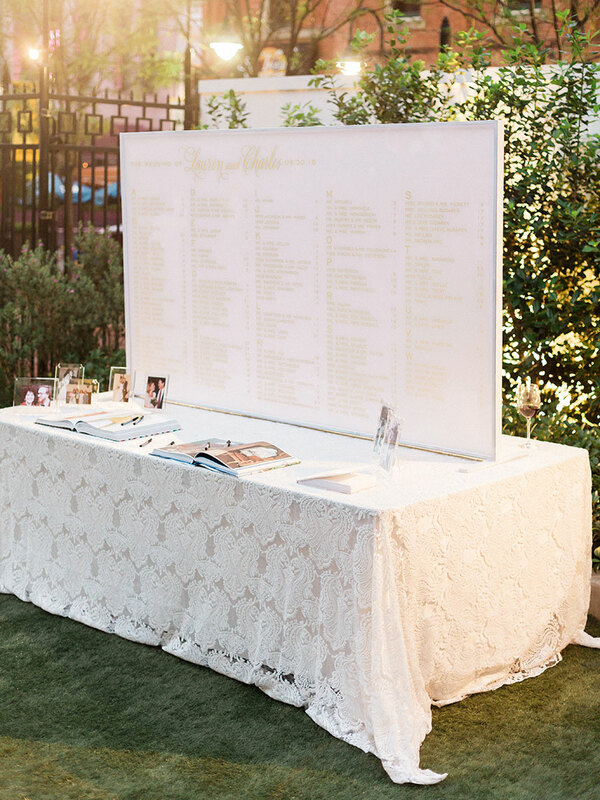 Picking the most dazzling setting to recite your vows in is no small task, but we’re here to help! 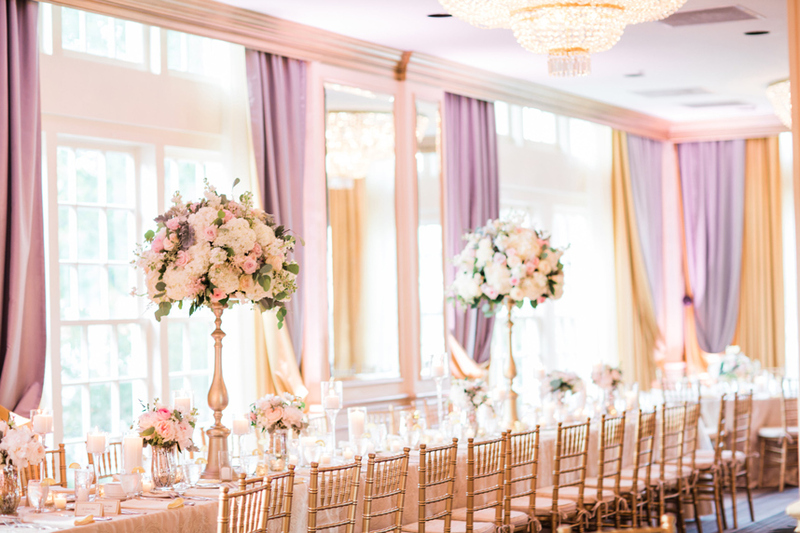 With the perfect amount of space for your large guest list, these eight ballroom venues located in Dallas are sure to set the perfect tone for your big day, no matter what your theme may be! 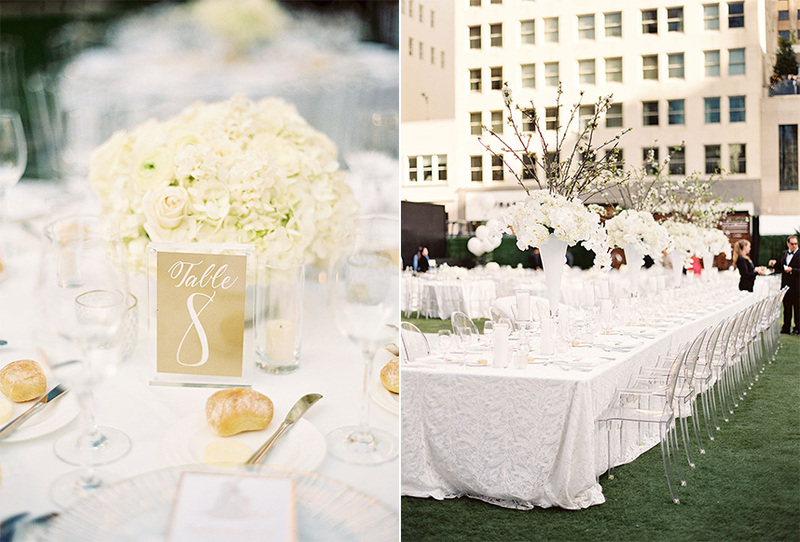 Adolphus Hotel – Say “I do” at one of the most beautiful places in all of Dallas. 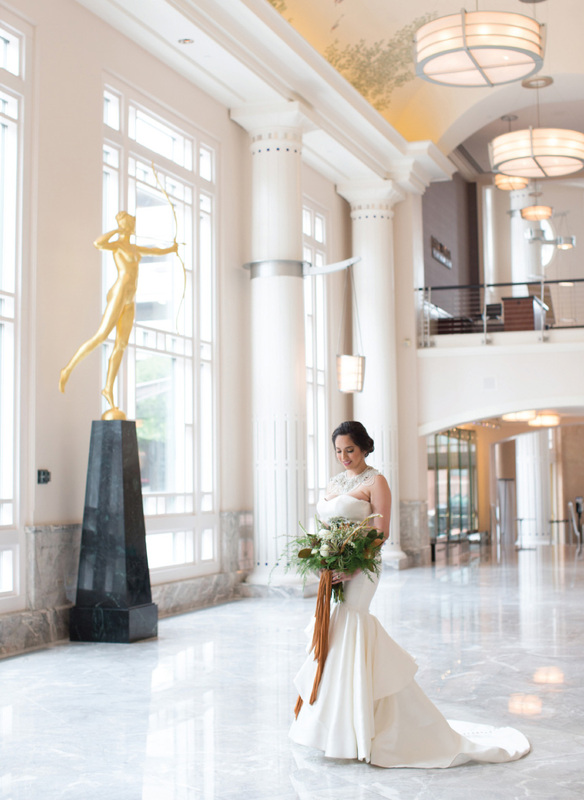 With incomparable services and amenities, The Adolphus is one of Dallas’ most romantic wedding destinations. 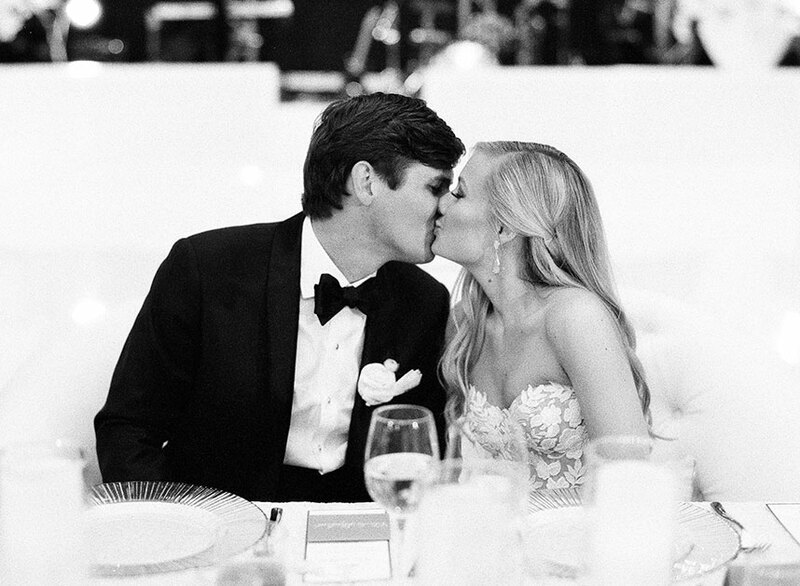 Whether it be in intimate exchange of vows or extravagant celebration with 300 of your closest friends and family, this venue offers the perfect space to celebrate your wedding day. 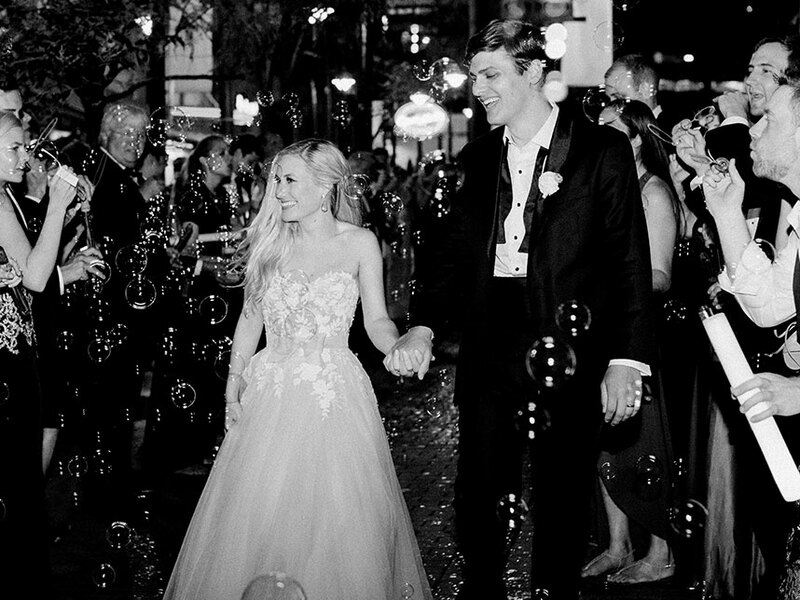 Rosewood Mansion on Turtle Creek – Rosewood Mansion on Turtle Creek is an authentic destination for a storybook wedding celebration. 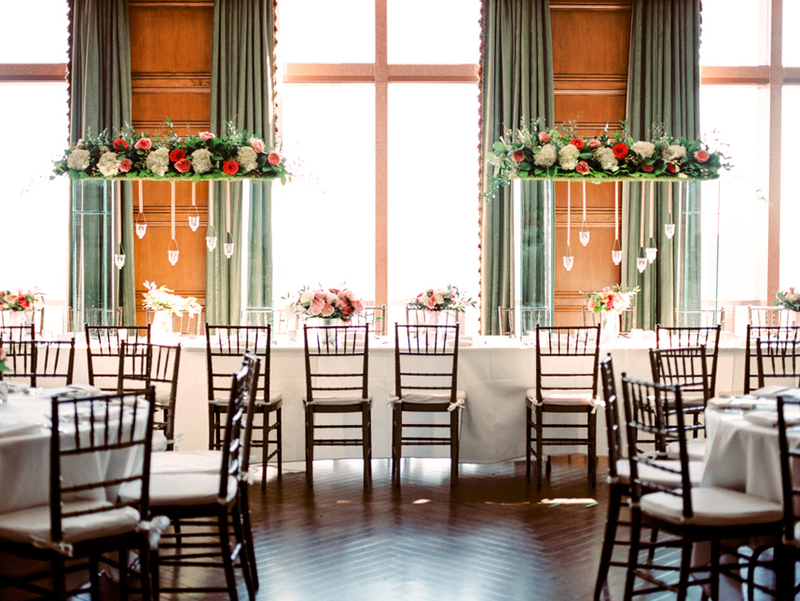 Nestled among the trees of the prestigious Turtle Creek neighborhood, the Mansion is recognized as Dallas’ most treasured wedding location for couples to begin their new lives together. 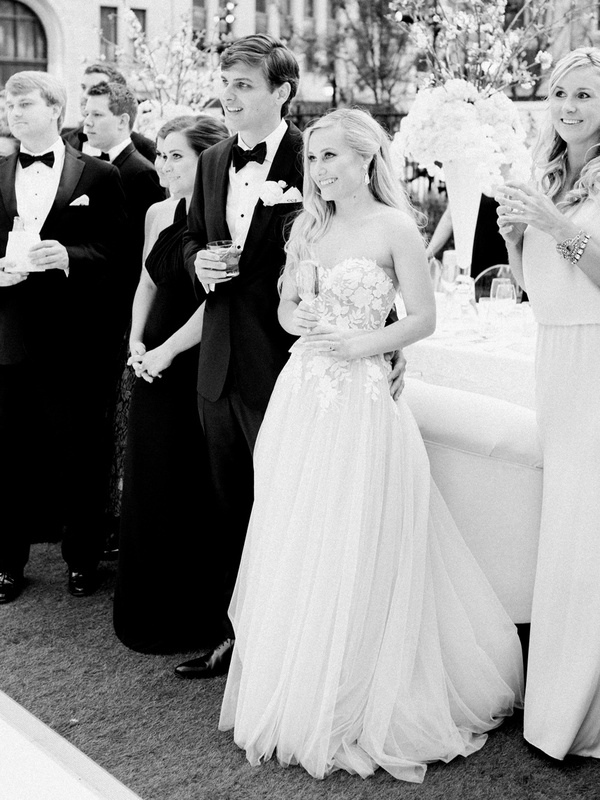 The Mansion’s residential sensibilities and uncompromising service sets each wedding apart. 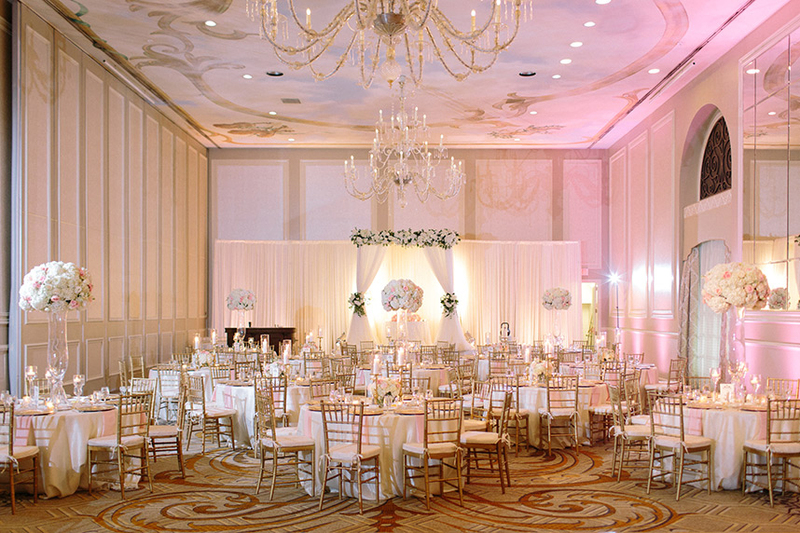 The Westin Galleria Dallas – Featuring the utmost in elegant entertainment, host 700 guests in the Westin’s distinguished, elaborate Dallas ballroom. 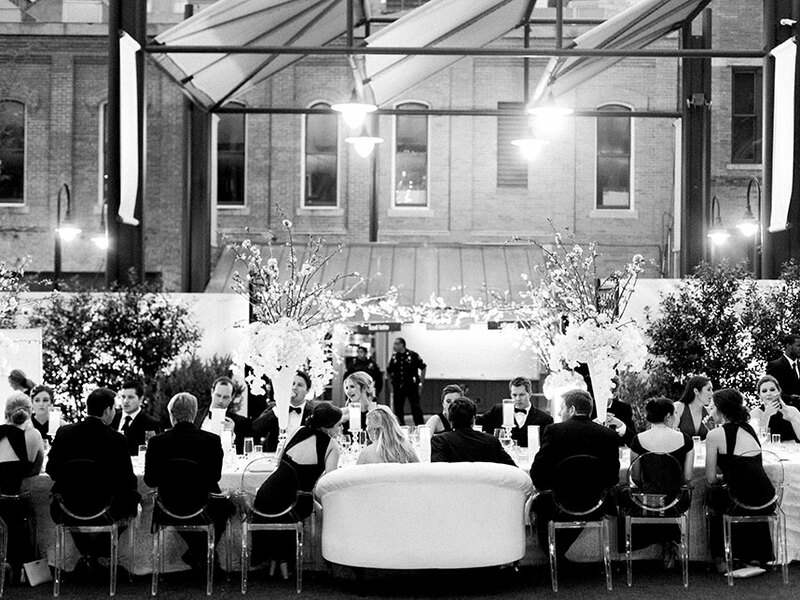 From your pre-reception cocktail hour in the expansive ballroom’s foyer to sophisticated cuisine, dancing and production inside the ballroom, guests will be mesmerized by the breathtaking luxury of this venue’s 11,000 square foot space! 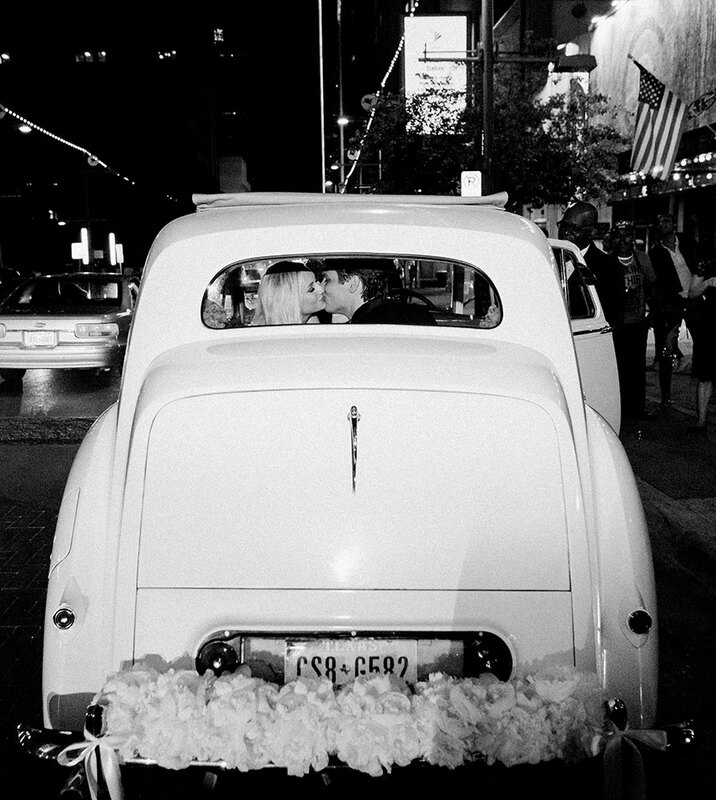 Warwick Melrose Hotel – From the romantic exchange of vows to the very first kiss as a married couple, the most memorable weddings are filled with tradition and timeless elegance. 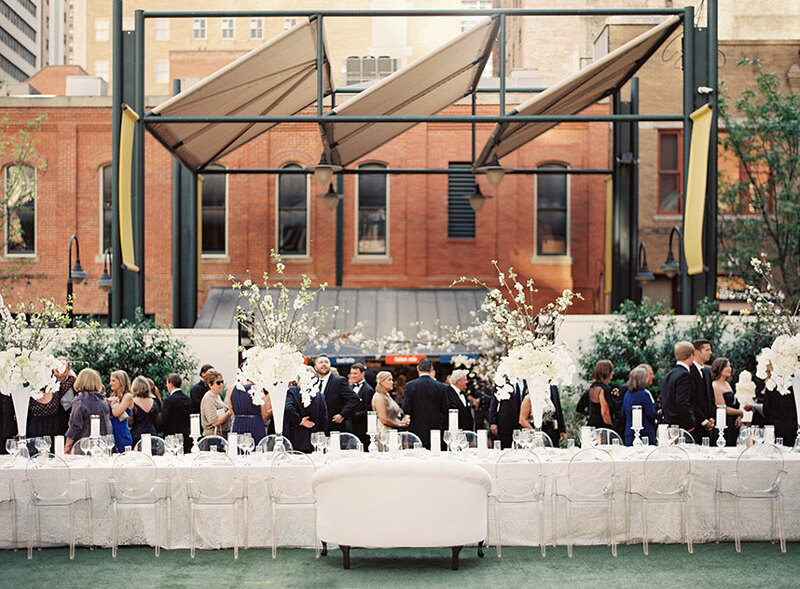 The historic Warwick Melrose Dallas offers vintage charm and exceptional service in a landmark venue. 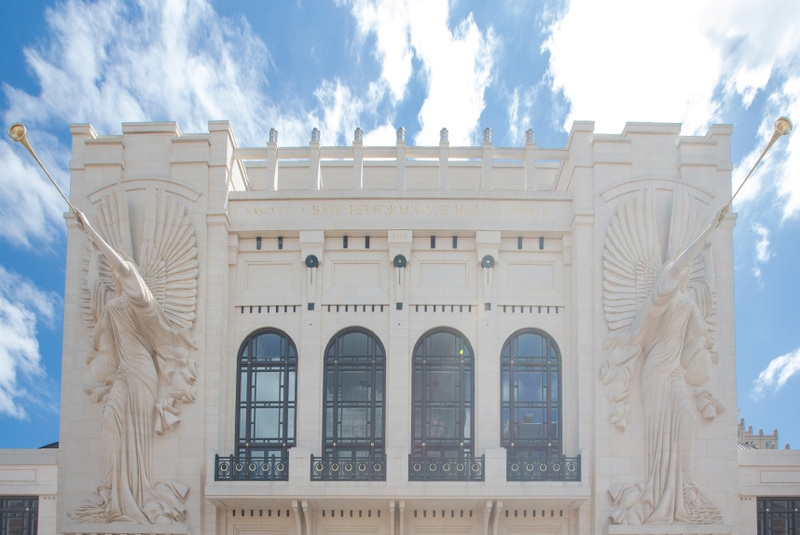 Guests walk through the door and are surrounded by stately grandeur. 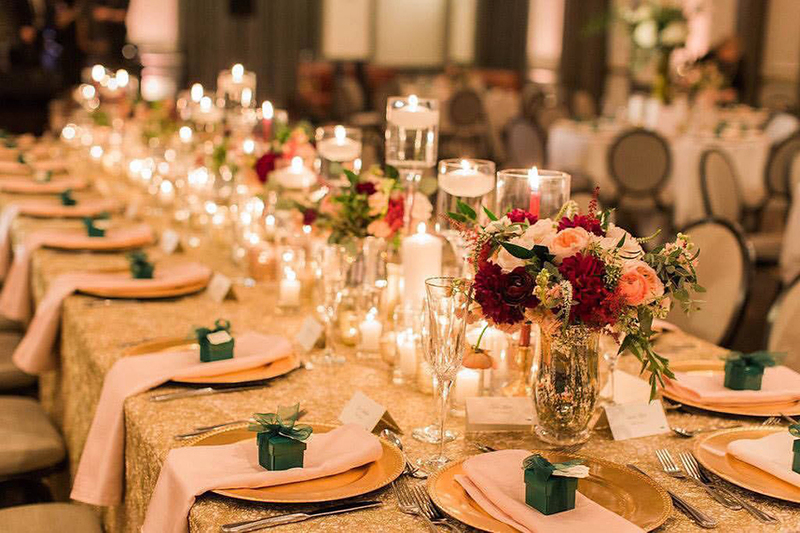 Hilton Anatole Dallas – There is a rich variety of settings to host a special event at the Hilton Anatole, including their award-winning restaurants for private events. 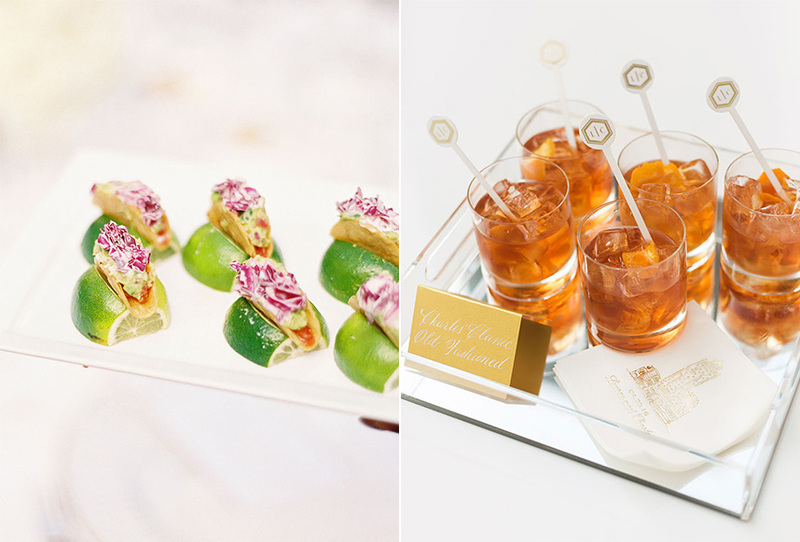 With a diverse menu ranging from casual off-the-grill fare to world-class cuisine, the catering is as elegant as their venue. 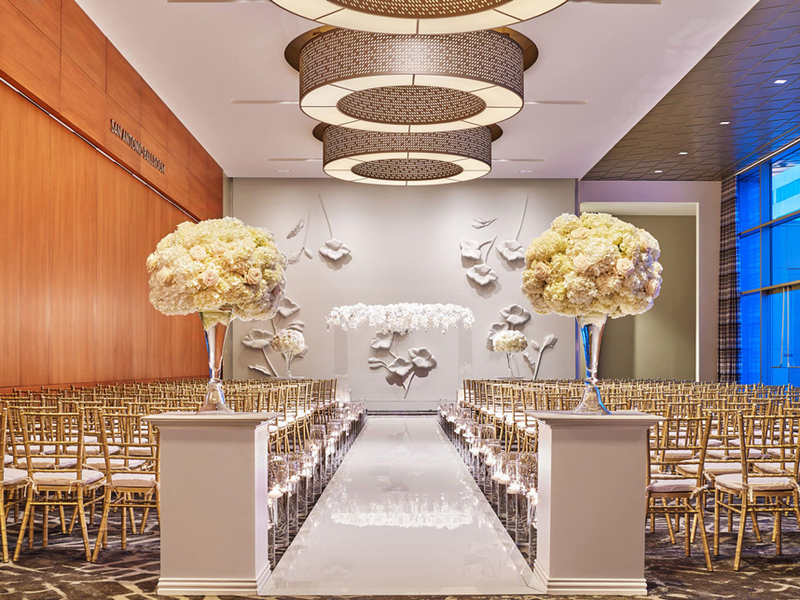 As the big day draws near, the staff at the Hilton Anatole will stand ready to turn your vision into a dream wedding! 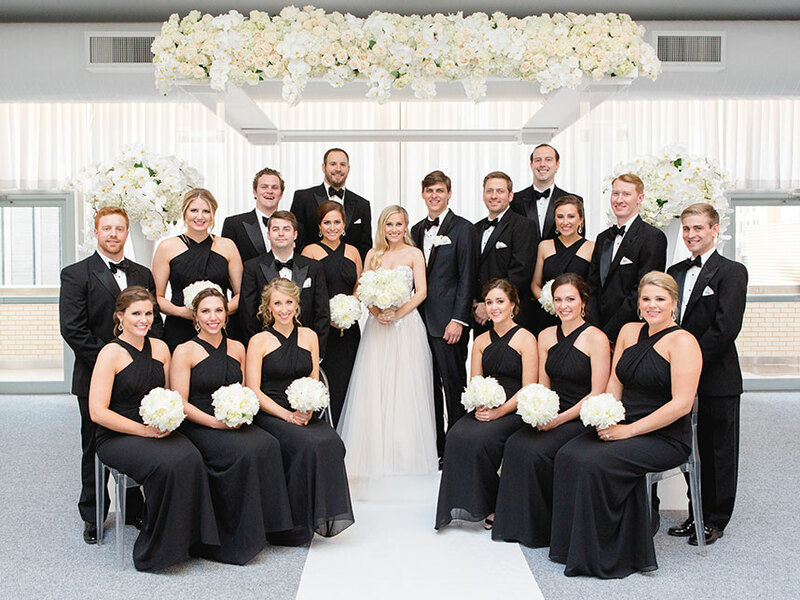 Hilton Dallas/Park Cities – Let the certified wedding consultant at the Hilton Dallas/Park Cities Hotel assist in perfecting your unique wedding in Dallas. 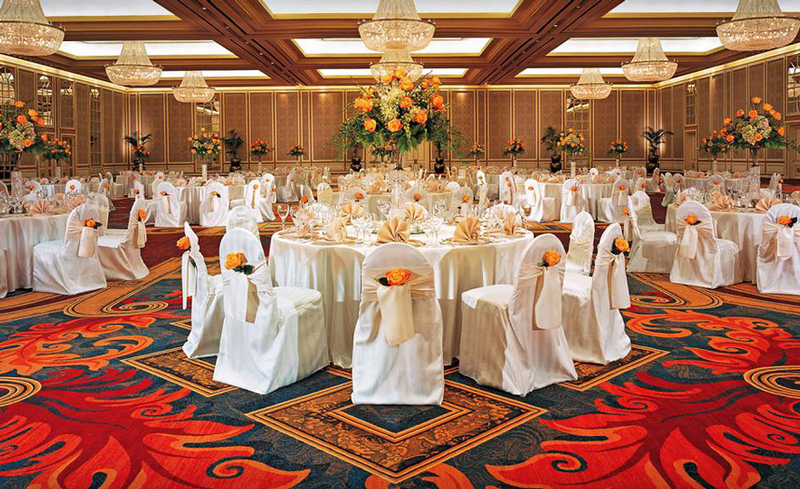 Take in the exclusivity of their Park Cities location and the elegance of the Beverly Ballroom for an exquisite reception. 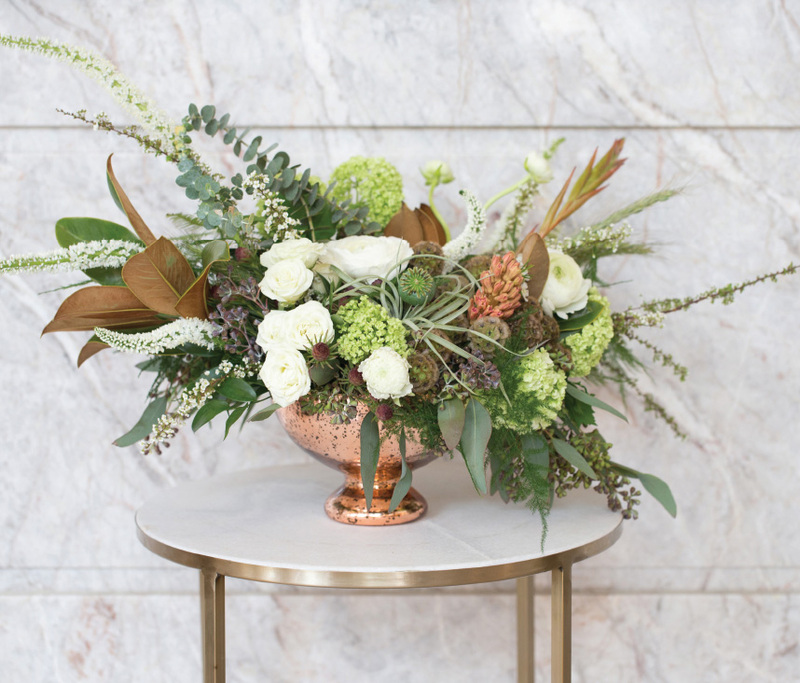 This Hilton hotel presents memorable spaces, including the farm-to-table-style Grain restaurant, for a bridal luncheon, rehearsal dinner or post-wedding brunch. 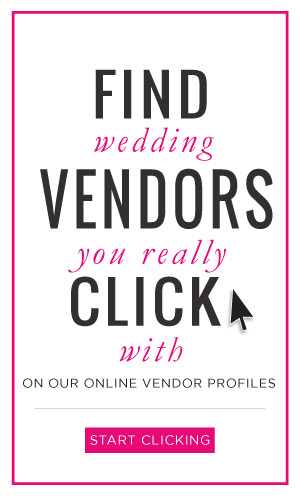 Expect intuitive, Four Diamond service from the supportive Hilton team members! 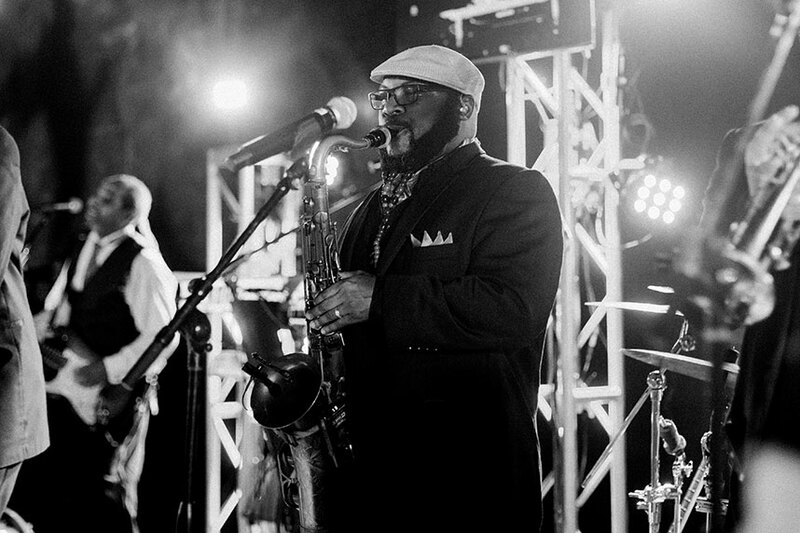 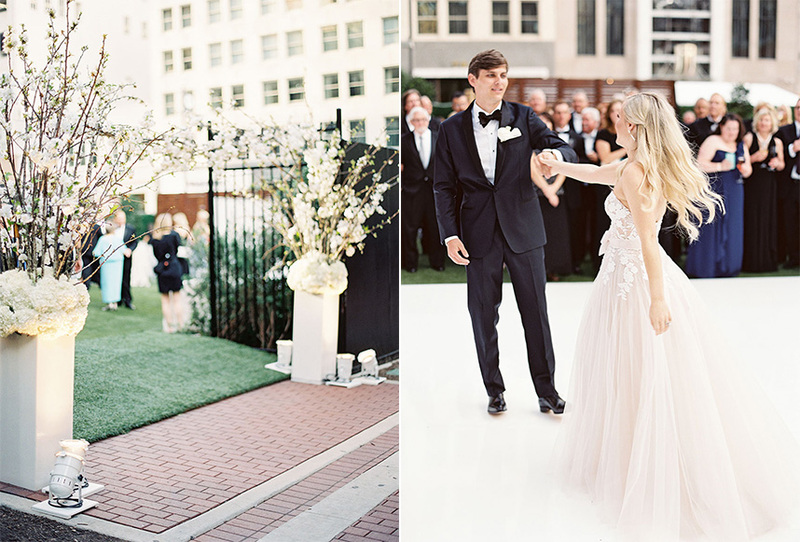 Andrew Ormsby at Cityplace Events – Dallas’ Cityplace Events is the perfect space for an elegant, breathtaking wedding ceremony and reception. 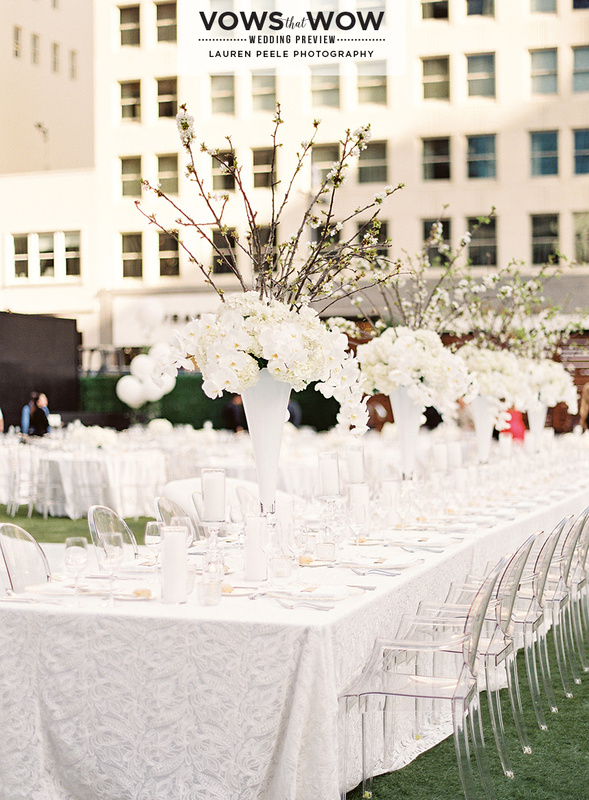 With various space options, Cityplace has the flexibility to create the unique wedding celebration of your dreams! 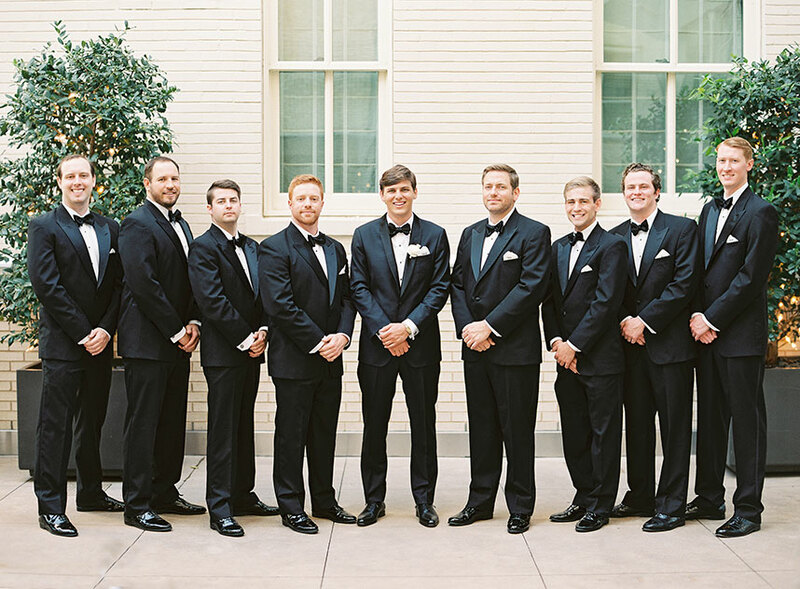 Overlooking the Dallas skyline, this venue is sure to make your special day one both you and your guests will never forget. 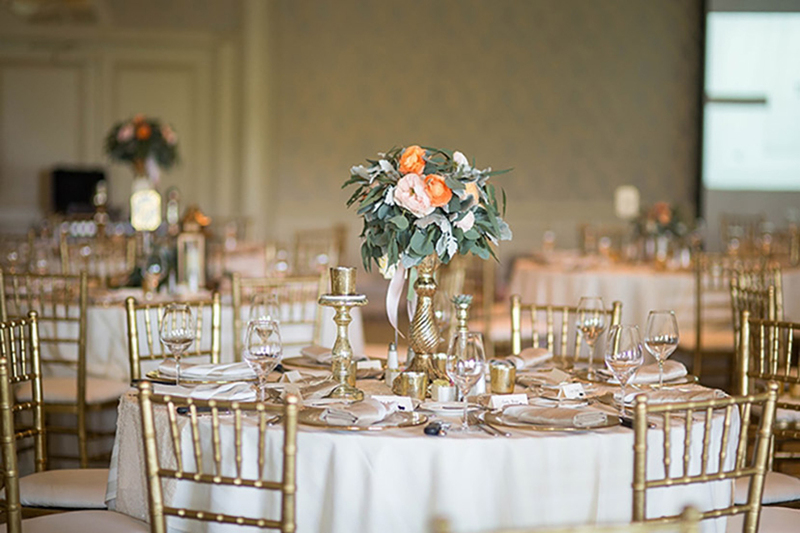 Cooper Hotel Conference Center & Spa – The Cooper Hotel Conference Center & Spa’s lush 30-acre grounds make for the ideal setting for your perfect day. 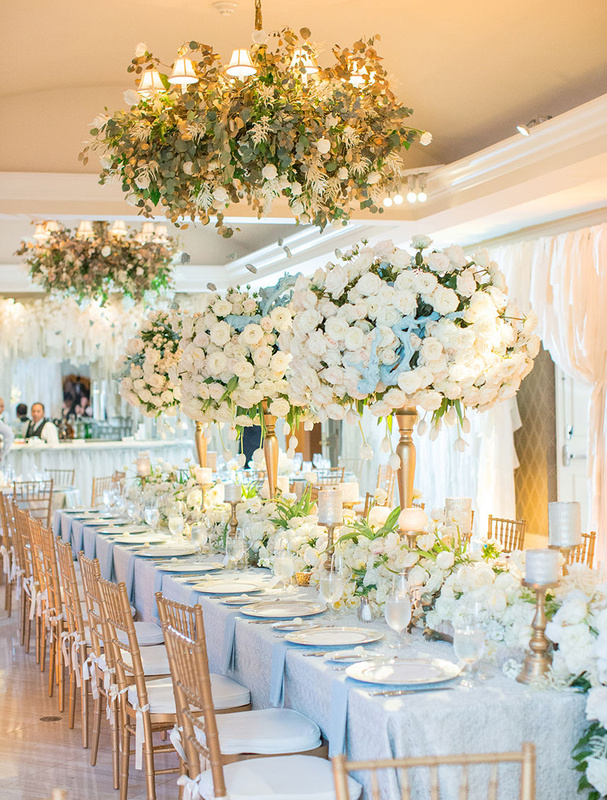 You and your guests will enjoy a picture-perfect experience with tree-lined walking paths, manicured lawns and water features including fountains and ducks. 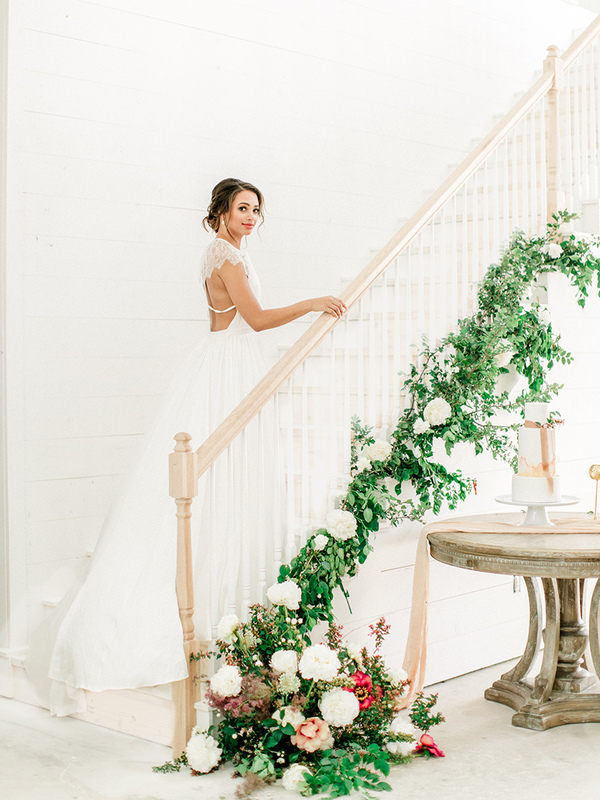 Whether you want to plan an outdoor reception by the pond or an intimate indoor reception with enchanting lighting, the charming grounds at Cooper Hotel offer the perfect day for any type of bride! 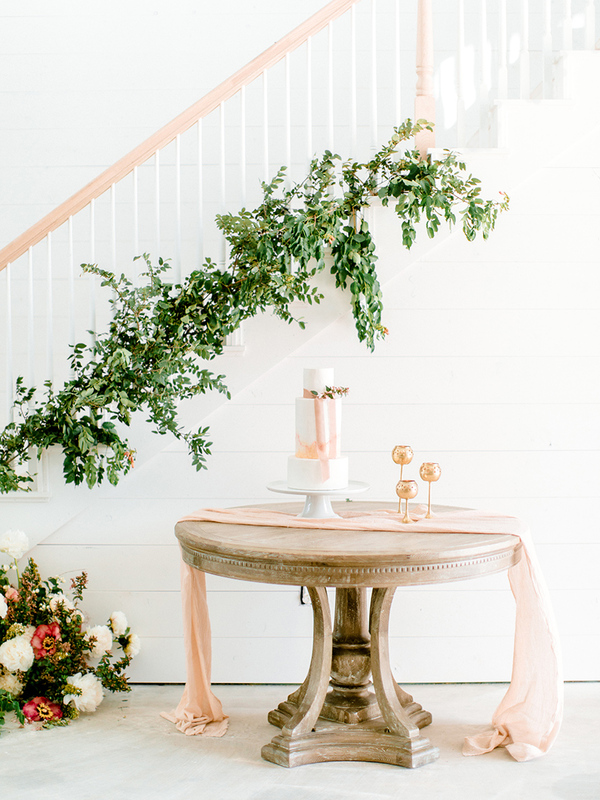 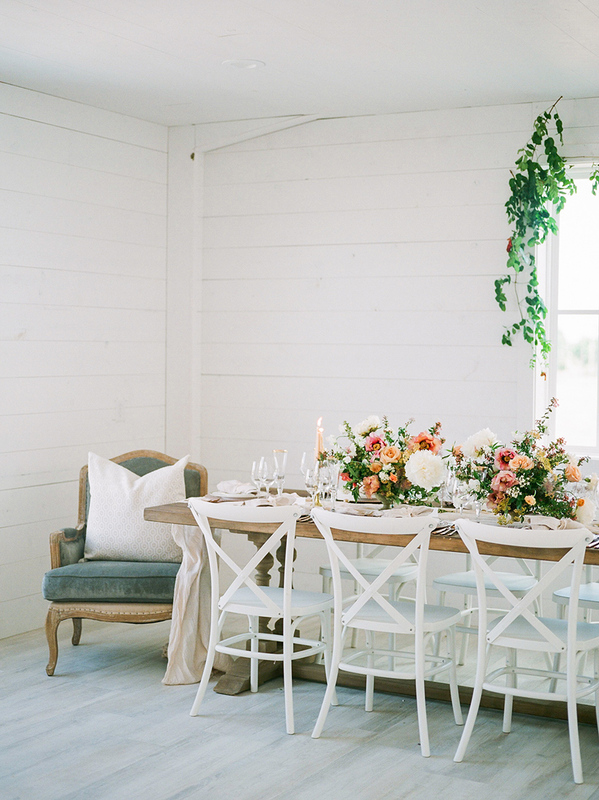 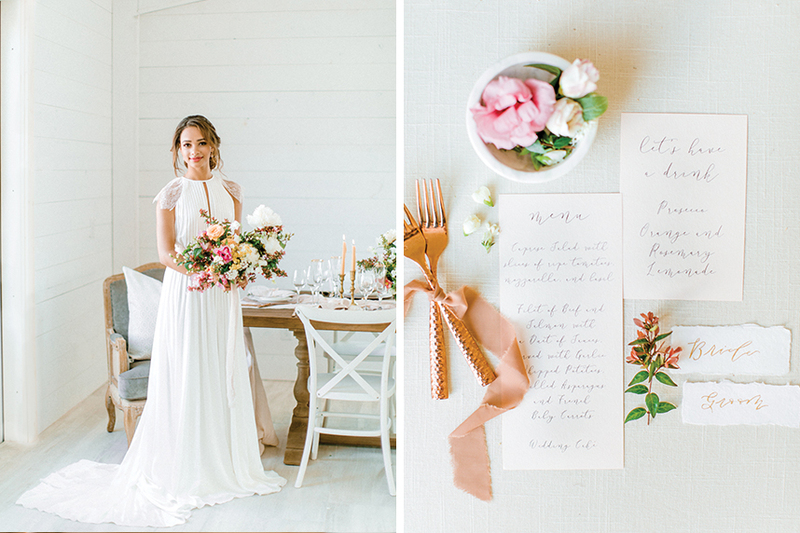 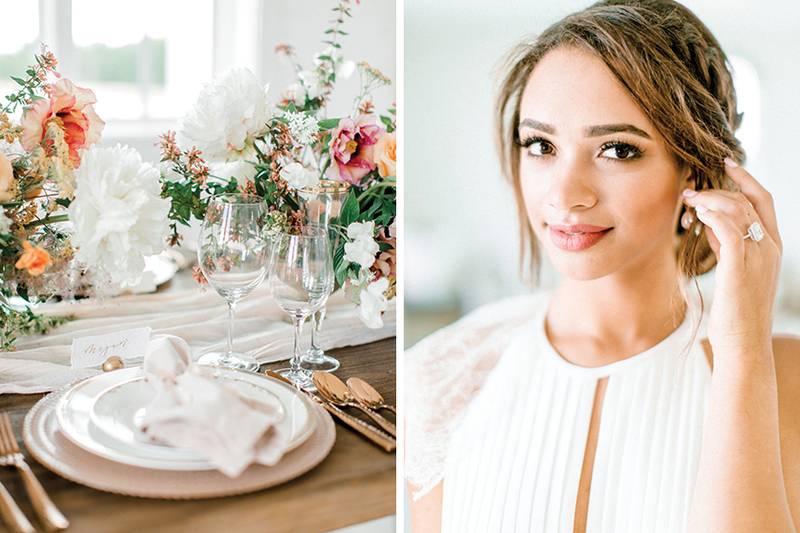 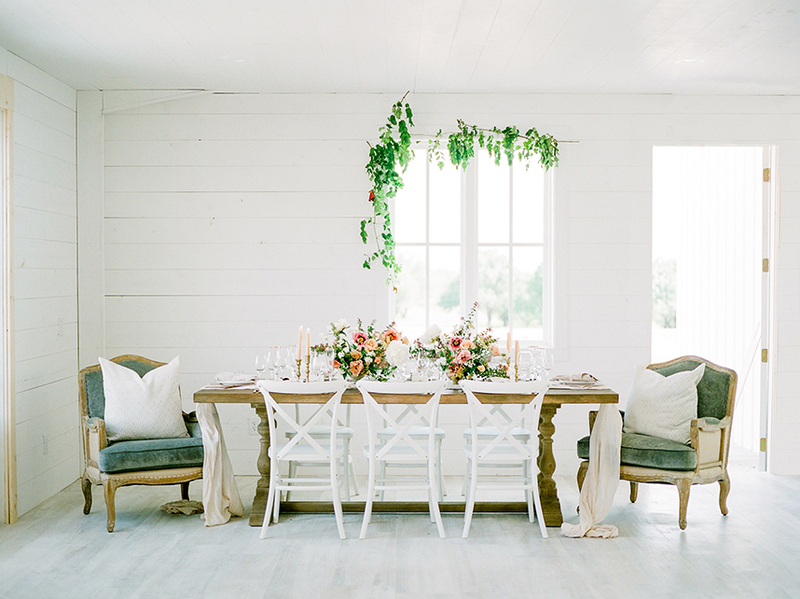 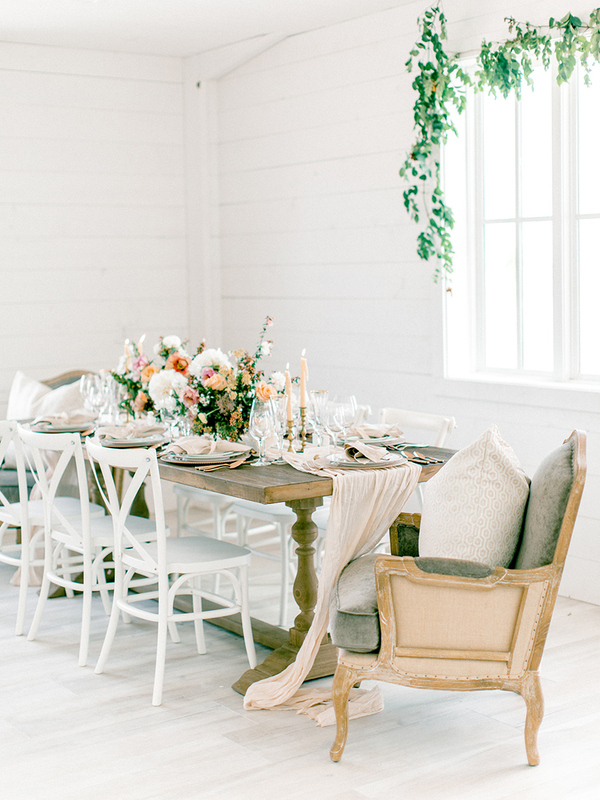 Crisp whites, pretty pastels and the dainty, feminine touches of this styled shoot from Chic Fleur Weddings and Events are giving us endless inspiration for a celebration of all things rustic and sweet! 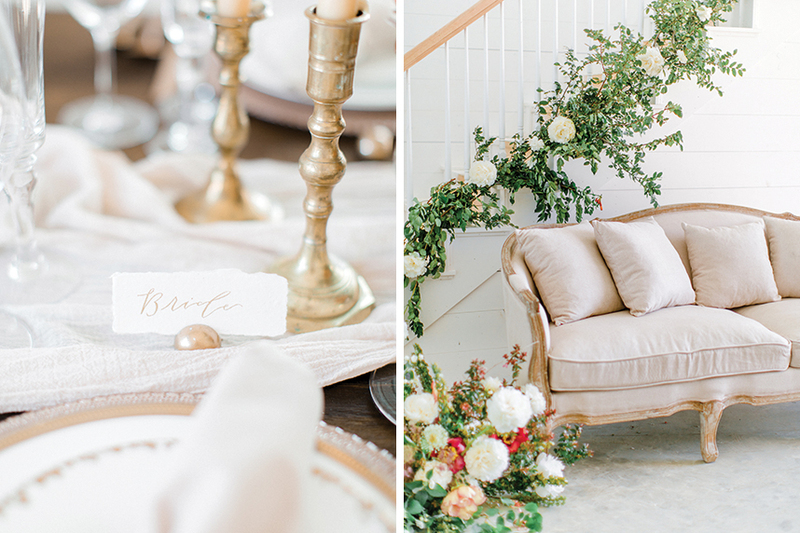 The Nest at Ruth Farms and it’s white wood-paneled interior was filled with abundant natural light, creating the dreamiest backdrop for clean and bright images. 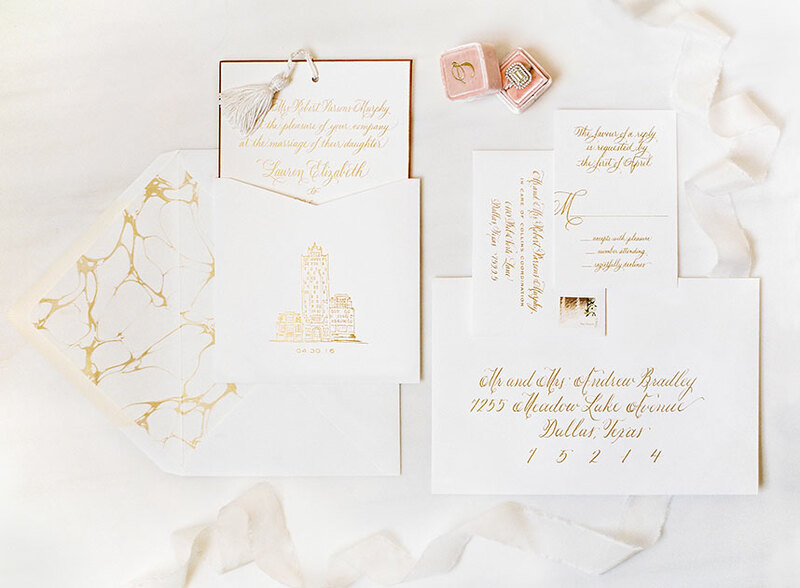 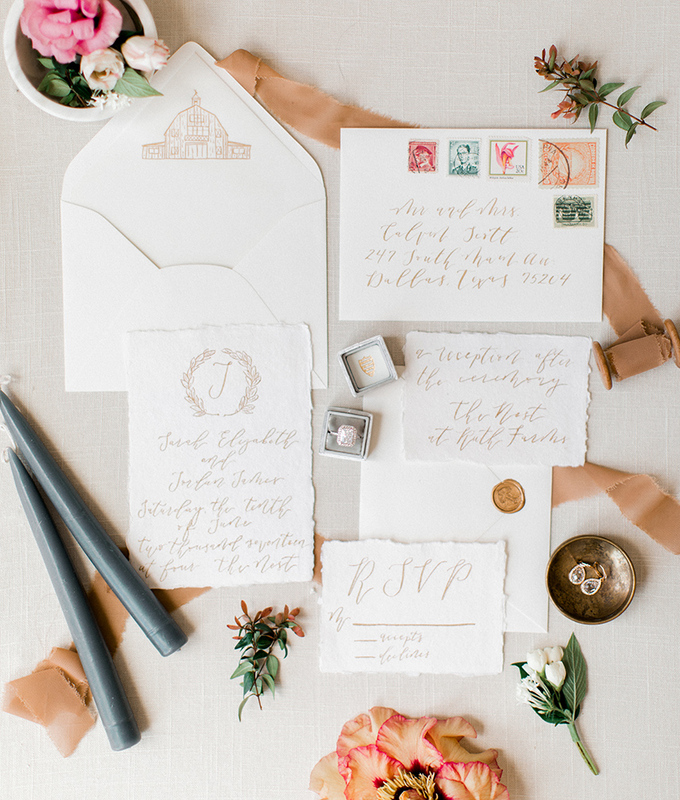 A simple hand-written calligraphy paper suite from Pink Champagne Paper paired perfectly with the minimalist feel of the shoot in everything from the invites to the table menus and place settings. 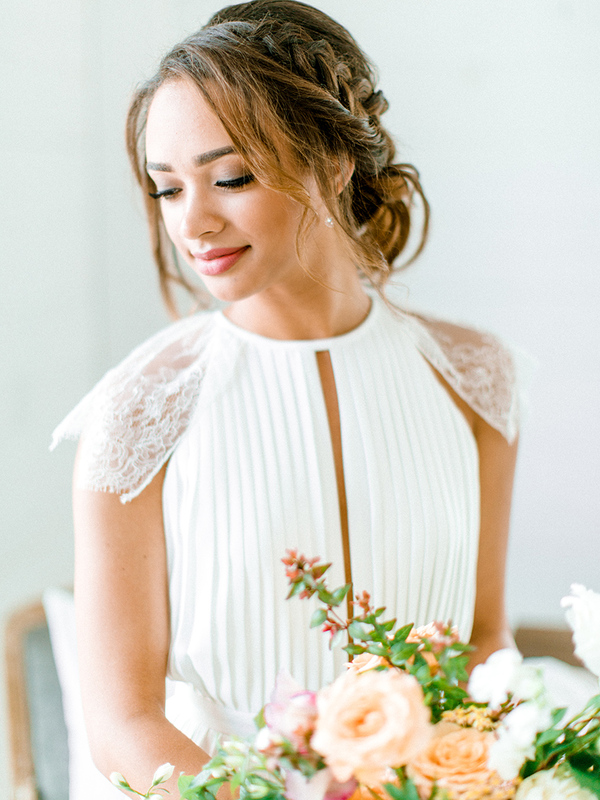 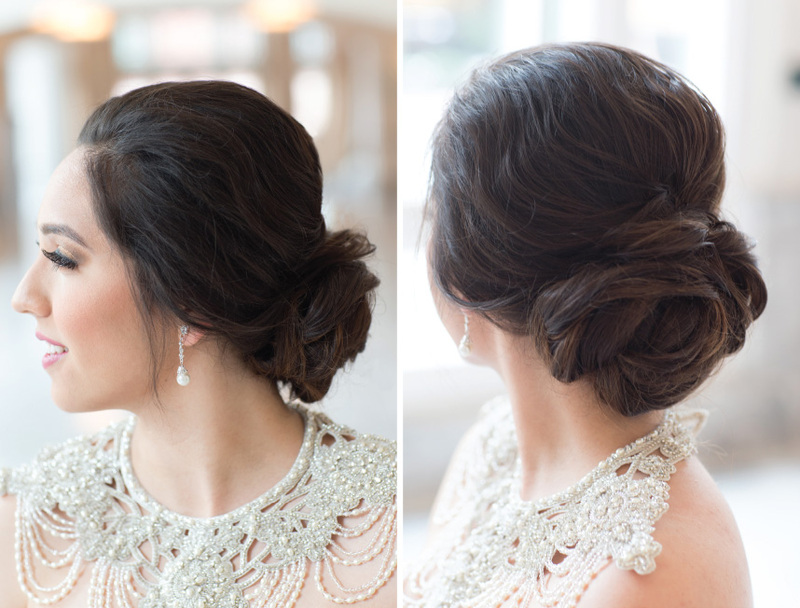 The true star of the photos was the beautiful model bride wearing a cap sleeve t-strap back gown from Lovely Bride, accompanied by the most romantic braided up-do and a fresh, dewy makeup look from The Styling Stewardess. 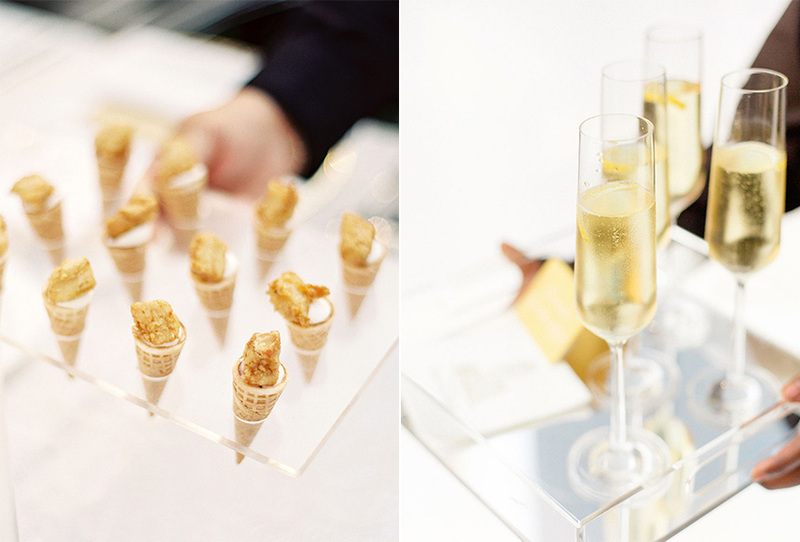 Of course, no such occasion is complete without a little bite of something sweet to commemorate. 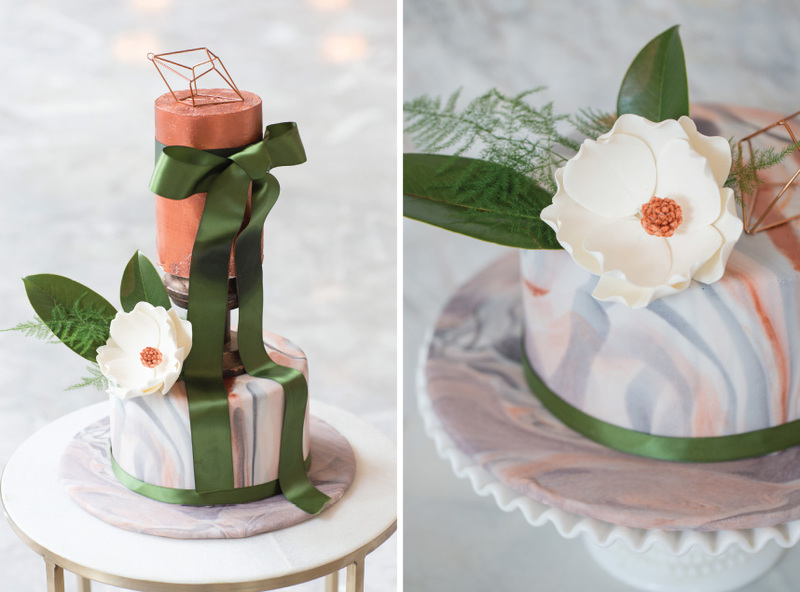 The Butterfly Cake Factory created a three-tiered blush marbled ombre cake adorned with delicate ribbons and a stem of pink florals to serve as a commanding centerpiece on its own. 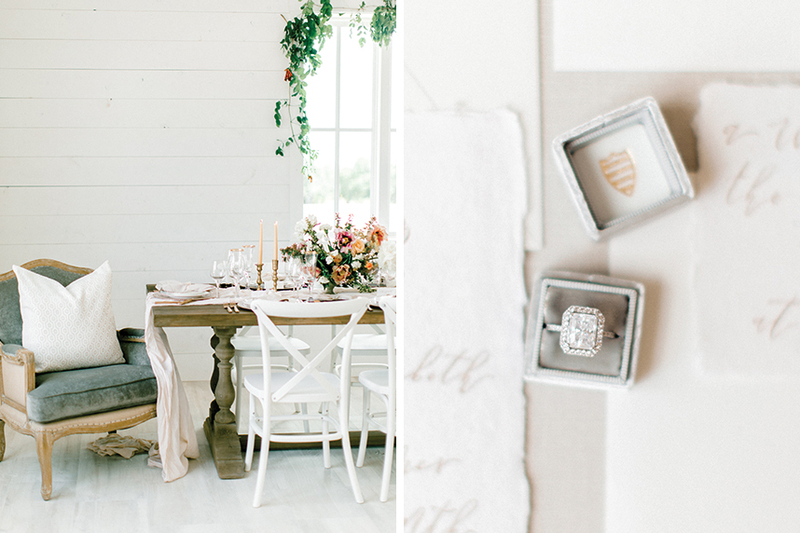 We can’t get enough of all the farmhouse charm! 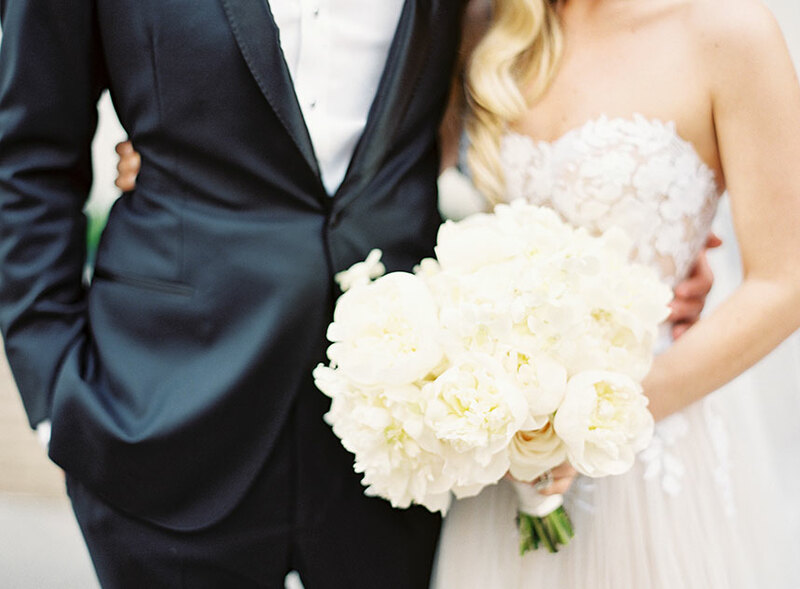 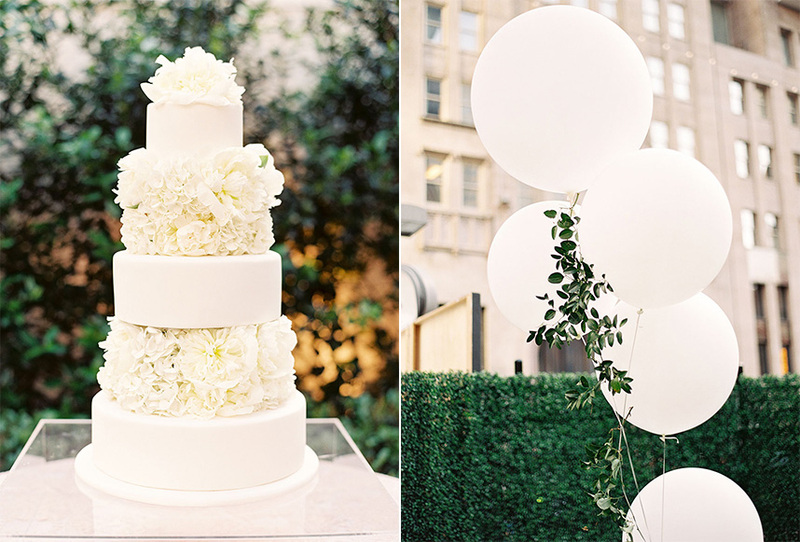 Dallas natives Lauren and Charles had a crisp classic white Dallas wedding set against the beautiful backdrop of the city, and we couldn’t be more in love with their timeless soiree! 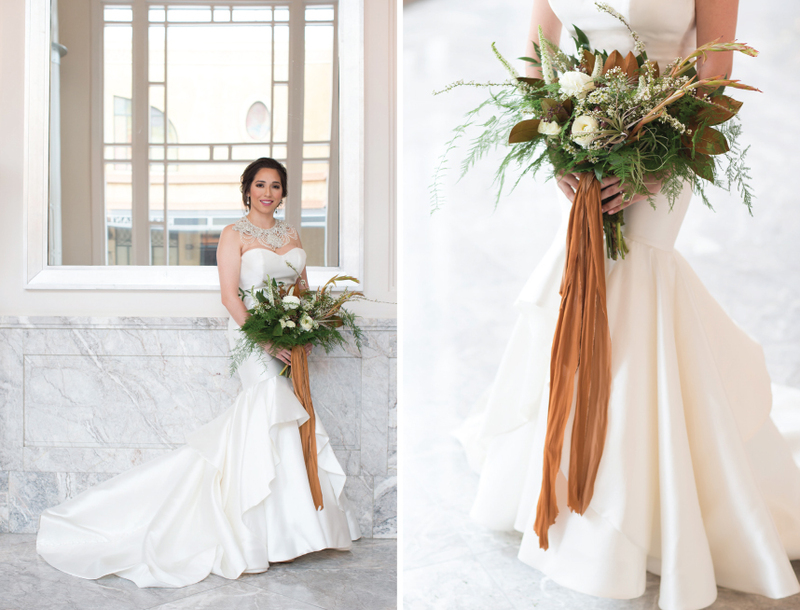 Since Lauren was keen on keeping things classic but unique, she decided her Mira Zwillinger gown from The Bridal Salon at Neiman Marcus would be the perfect opportunity to have something tailored to her personality. 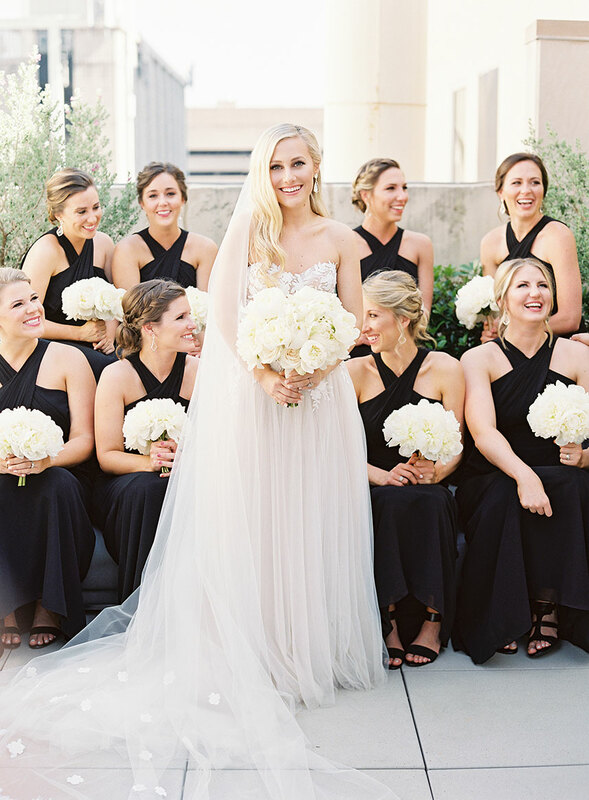 Her maids were dressed in beautiful black gowns from Bella Bridesmaids. 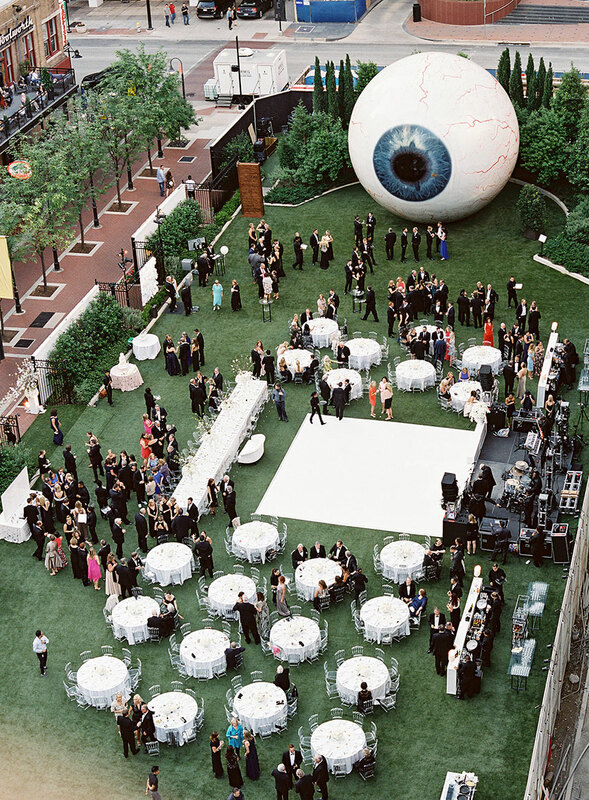 The black-tie affair featured rentals from Posh Couture Rentals and romantic lighting from Beyond which created the perfect ambience throughout the evening. 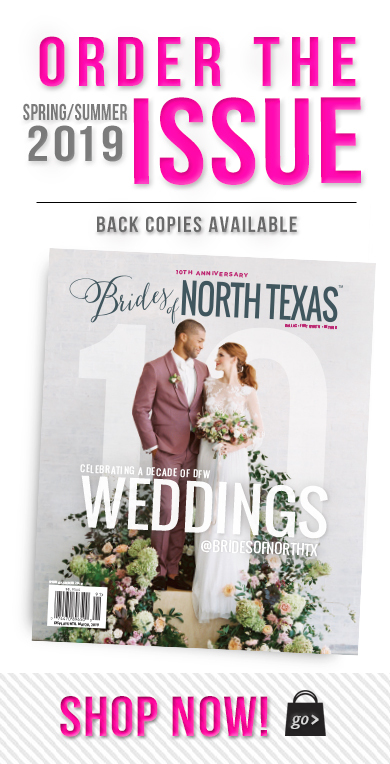 Pick up the latest copy of Brides of North Texas and flip to pages 56-61 to see more of this exclusive Vows that Wow wedding. 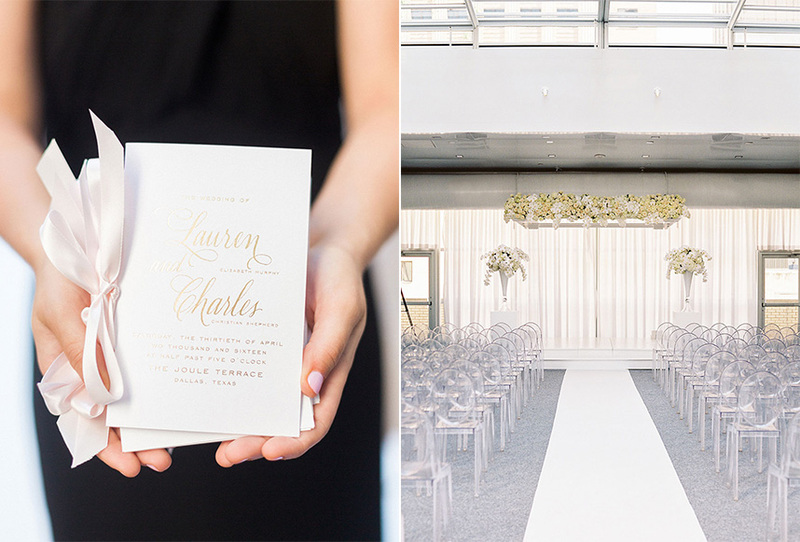 Cheers to Lauren and Charles! 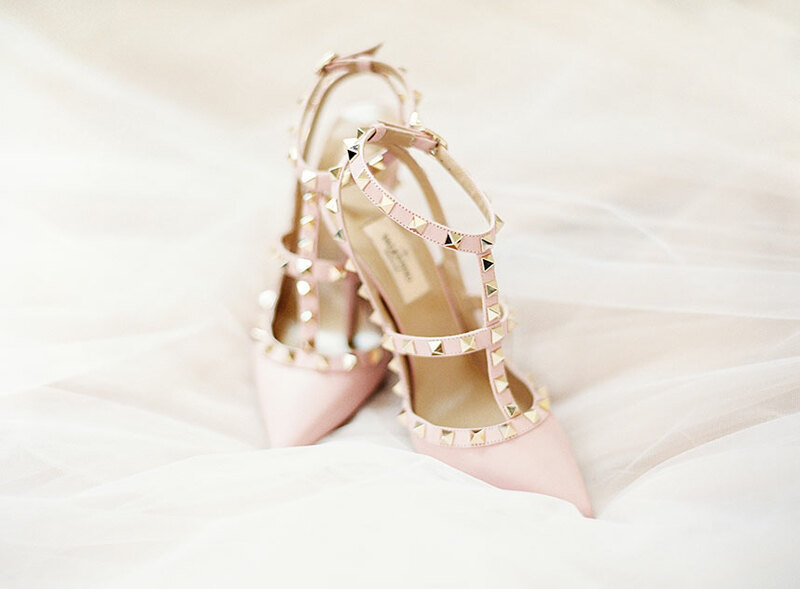 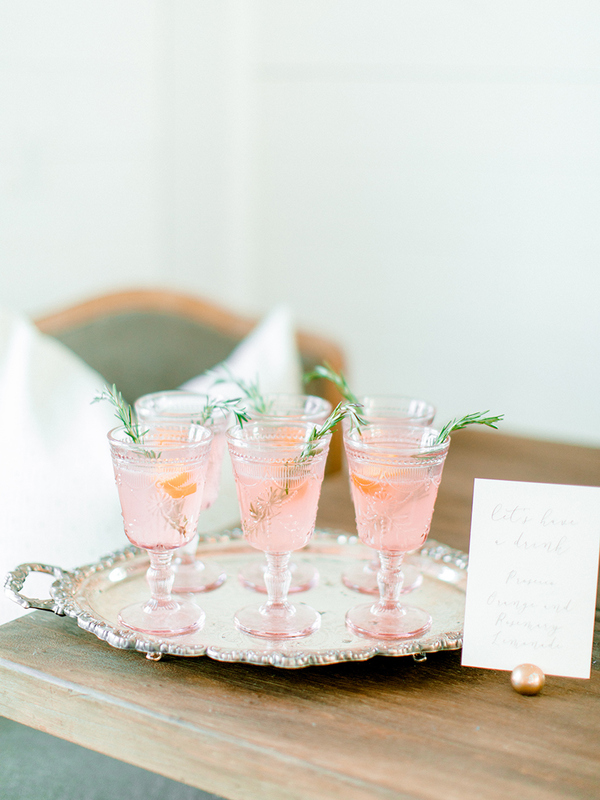 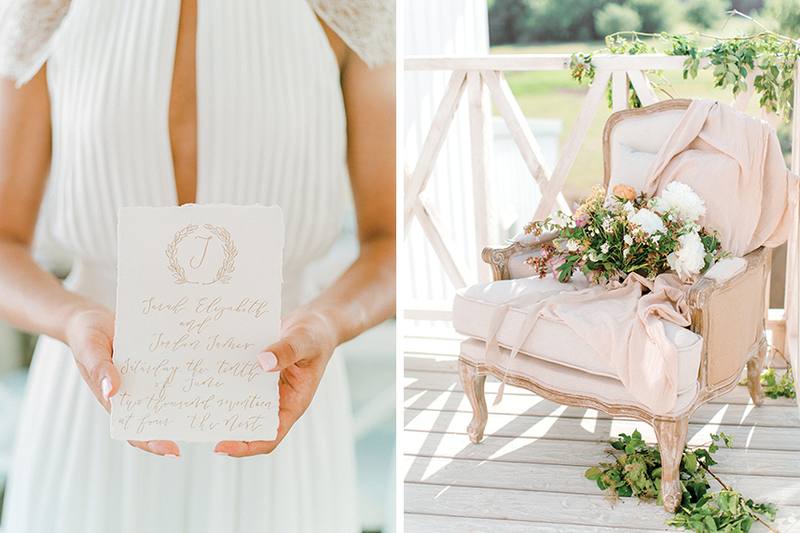 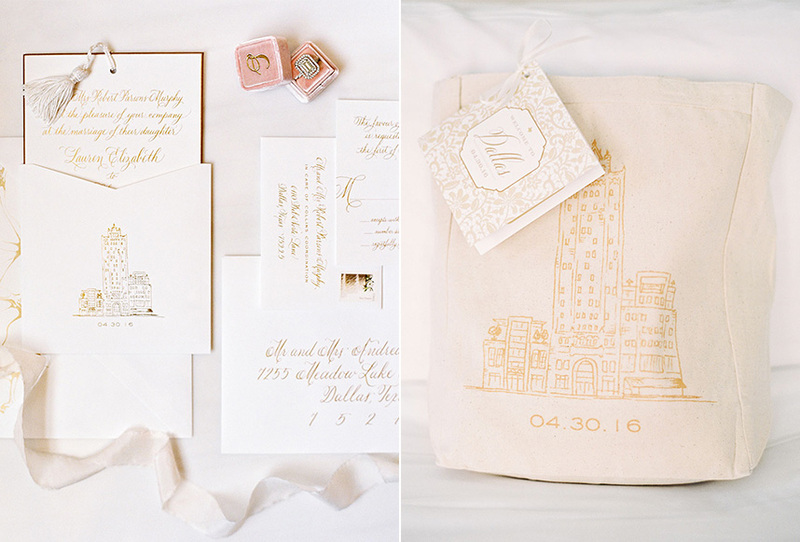 Photos by Kiss Me For Eternity Photography by Thisbe Grace & Co. 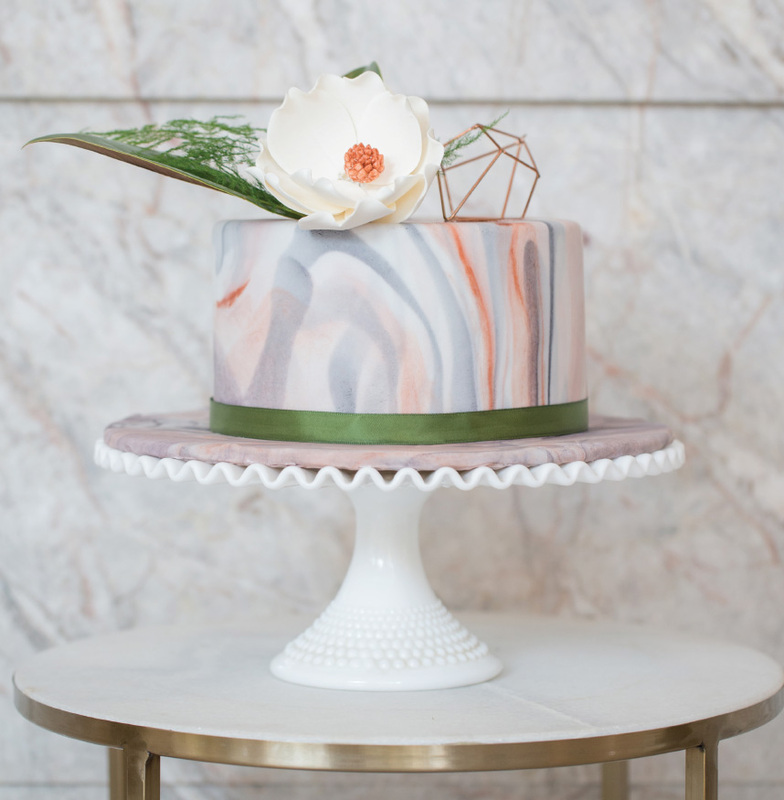 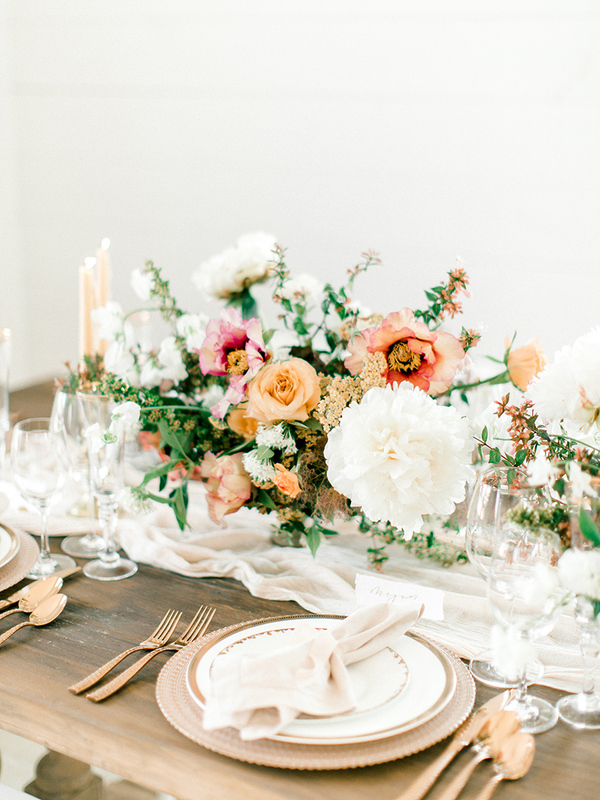 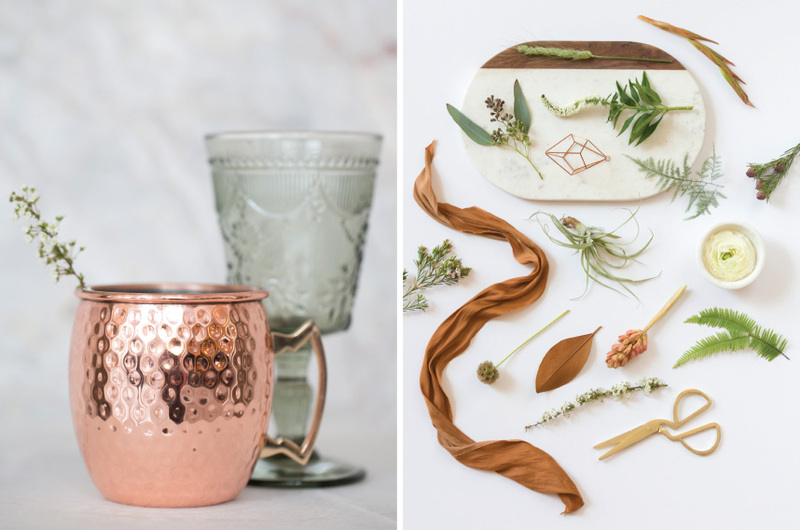 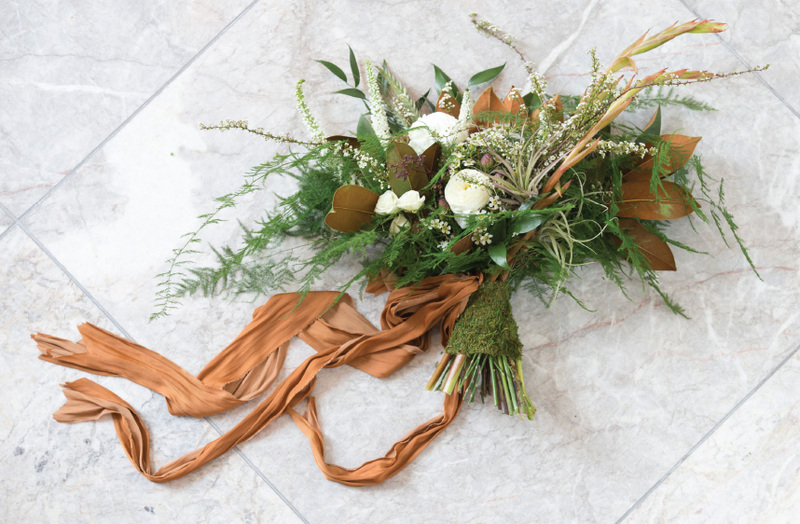 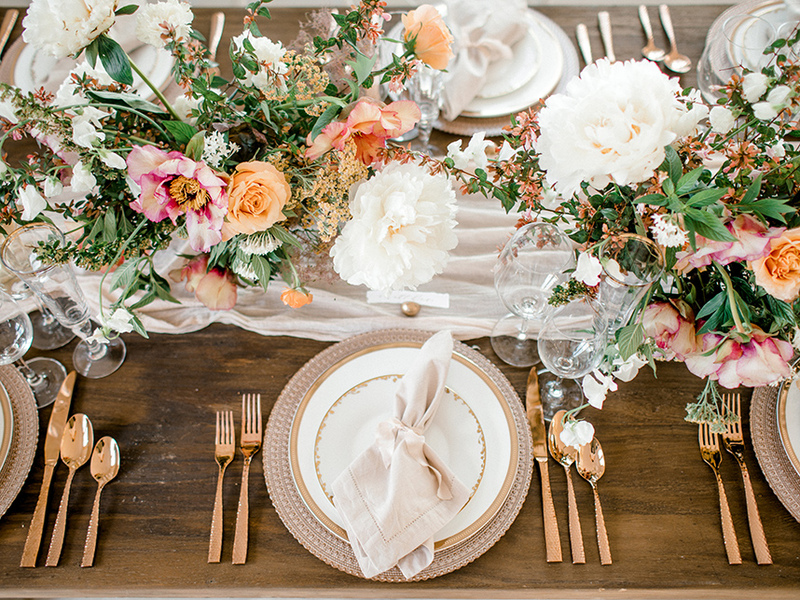 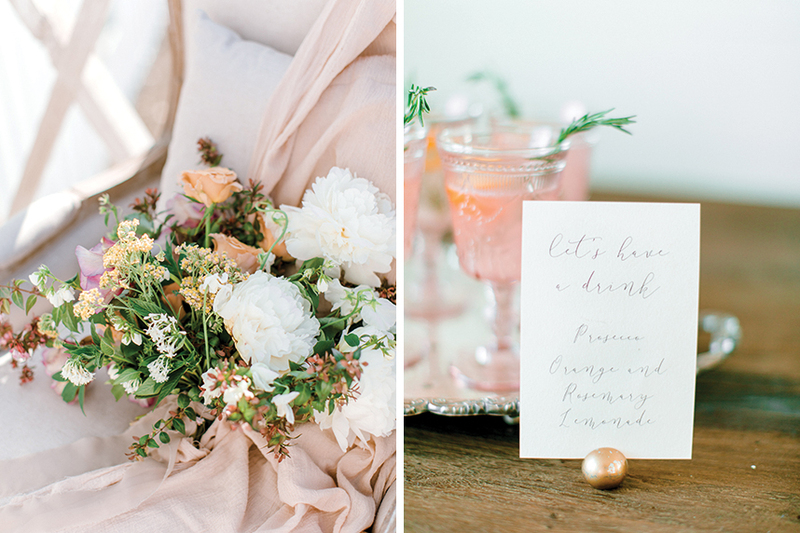 This modern marble and copper wedding inspiration captured by Kiss Me For Eternity Photography is a definite must see! 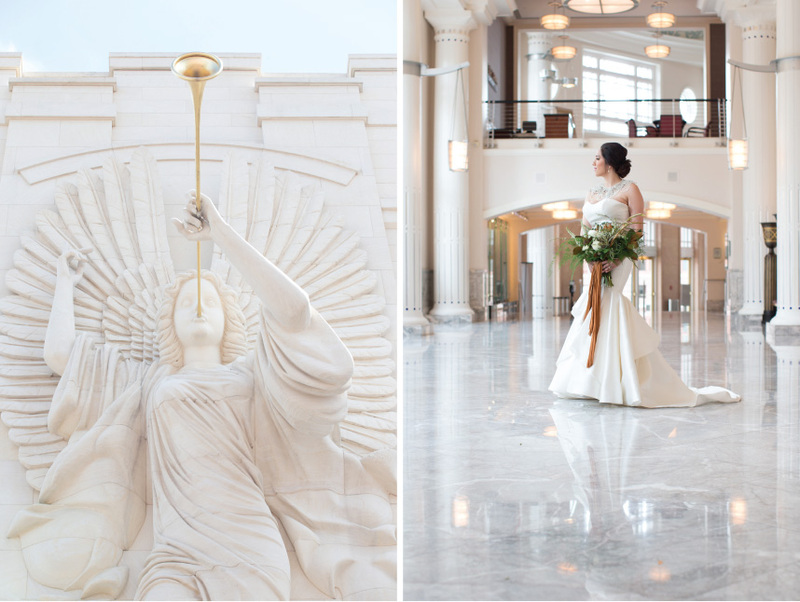 Bass Performance Hall served as the perfect setting for this styled shoot with its beautiful marble floors and enchanting Art Deco backdrop. 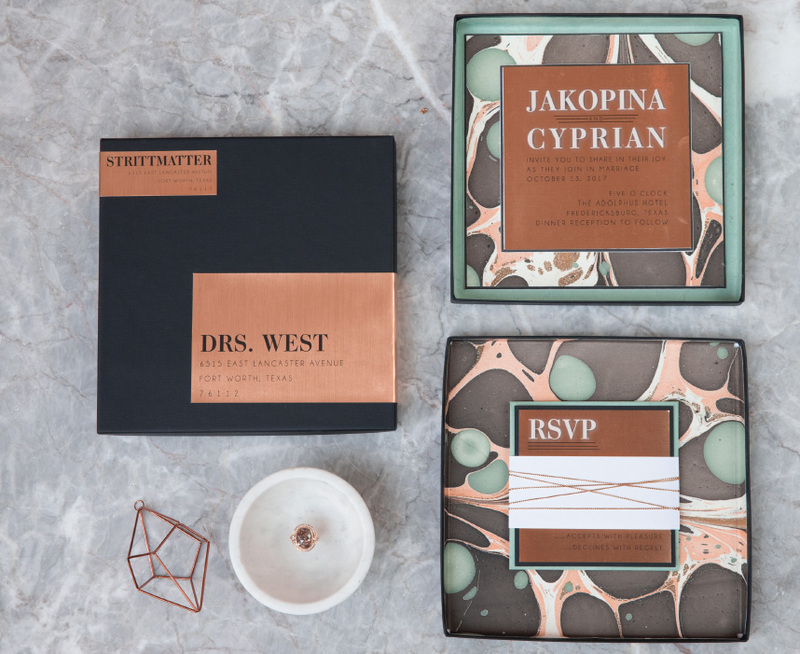 To set the tone, Paper Planet designed an amazing boxed invitation suite – the perfect complement to Hopeful Hearth Baking Company‘s mini marble cake design. 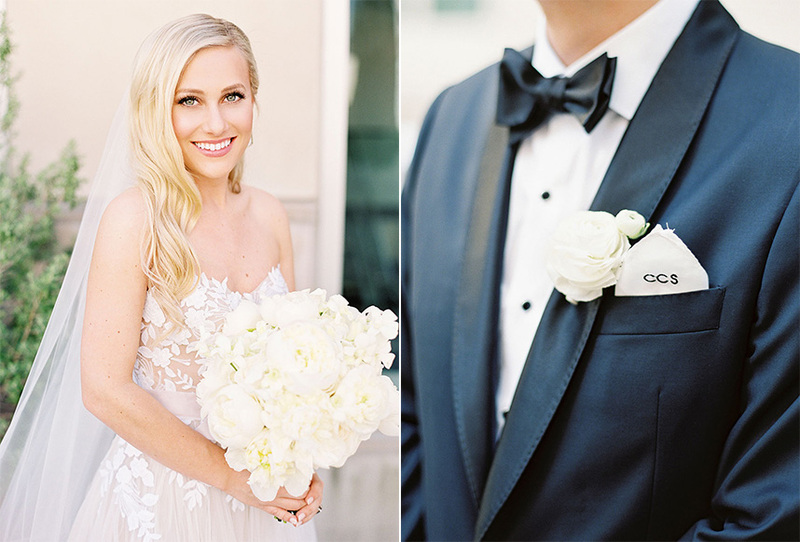 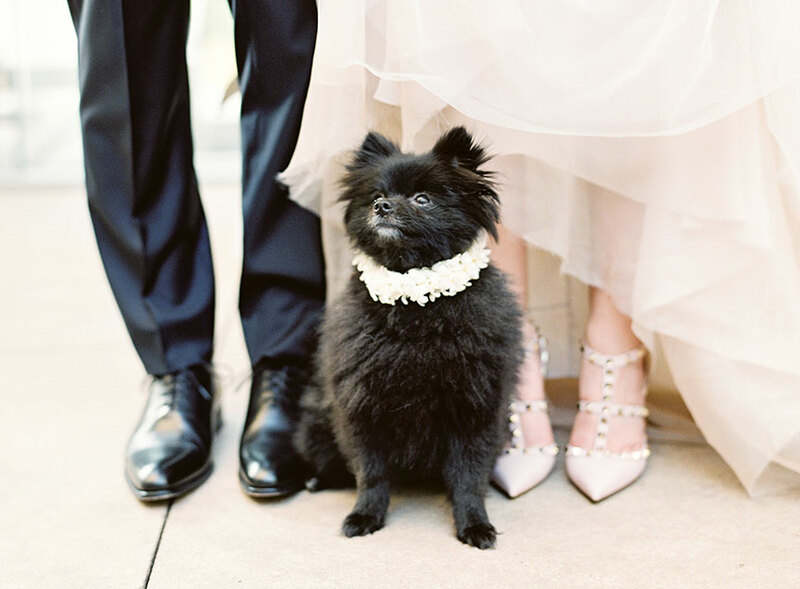 The bride looked breathtaking in her Madison James mermaid gown paired with a jeweled bolero from Pence and Panache Bridal & Tuxedo while Grand Slam Glam completed the stunning look with a classic and chic bridal beauty look. 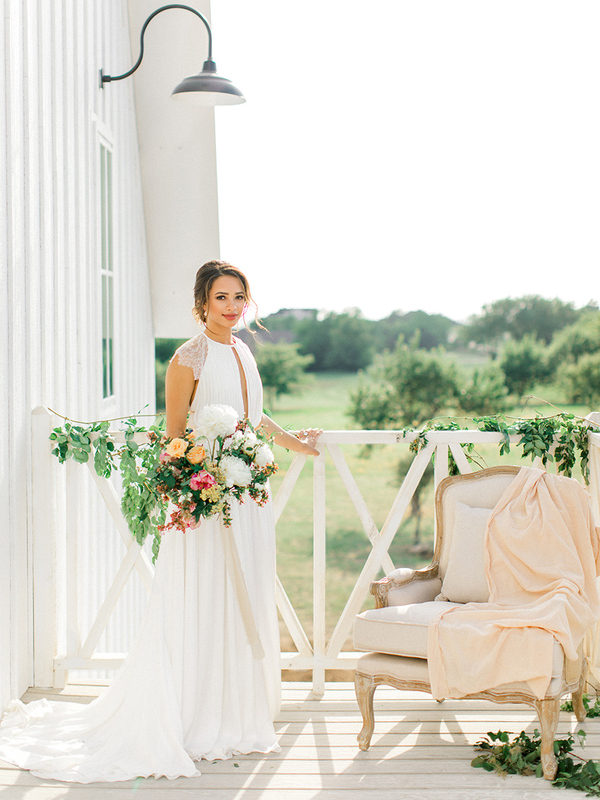 She carried the most stunning floral arrangement by The Greenhouse 817 filled with a variety of greenery and white blooms. 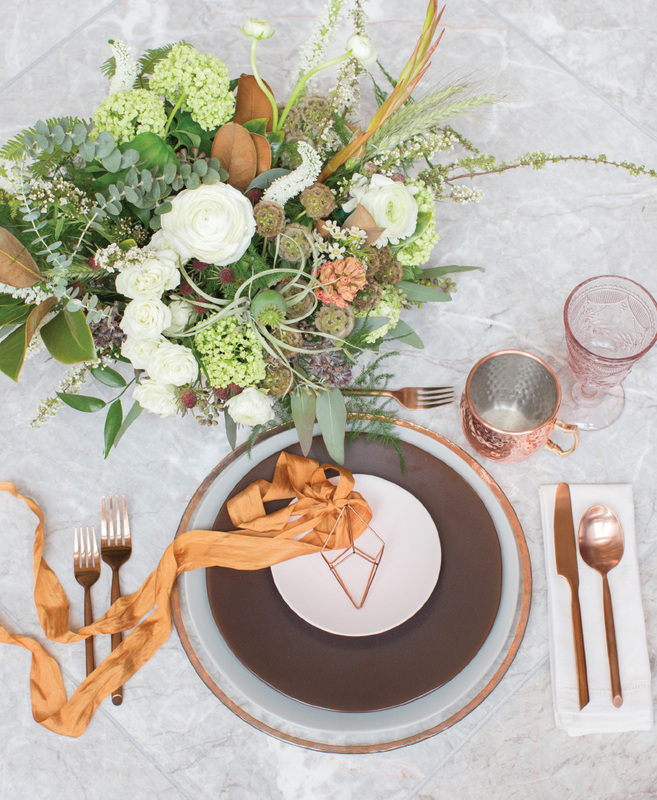 Top Tier Event Rentals & Staffing provided the perfect finishing touch with a monochromatic metallic place setting featuring a copper mug, charger and cutlery. 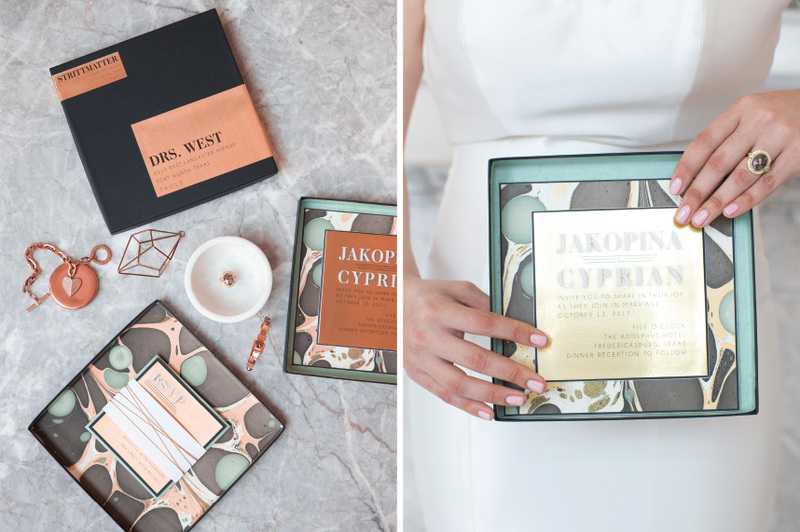 Cheers to the talented team who brought this design to life! 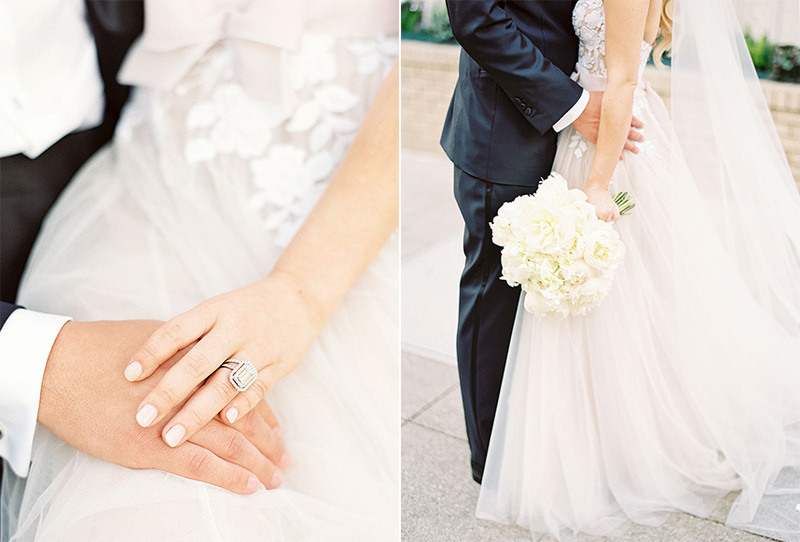 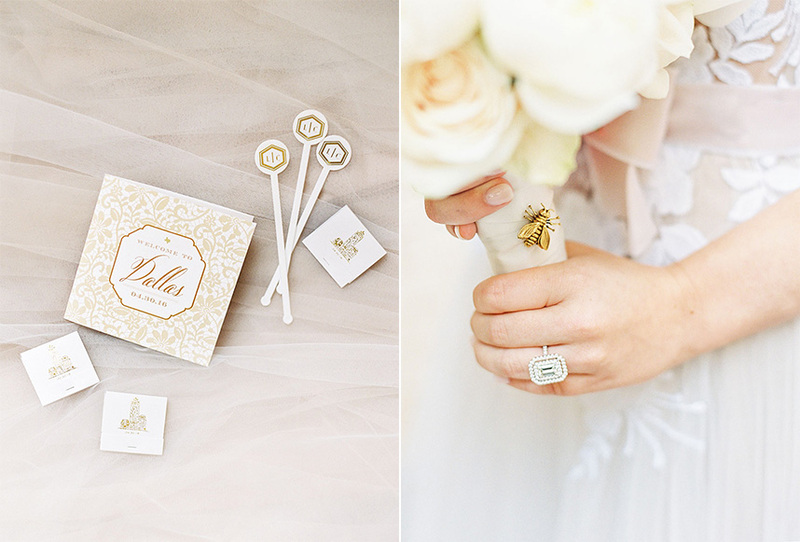 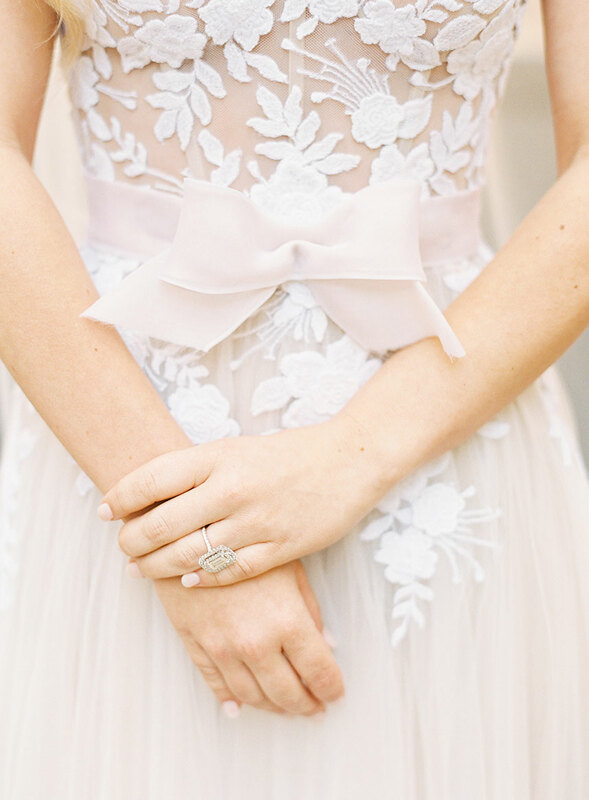 Photography | Kiss Me For Eternity by Thisbe Grace & Co. 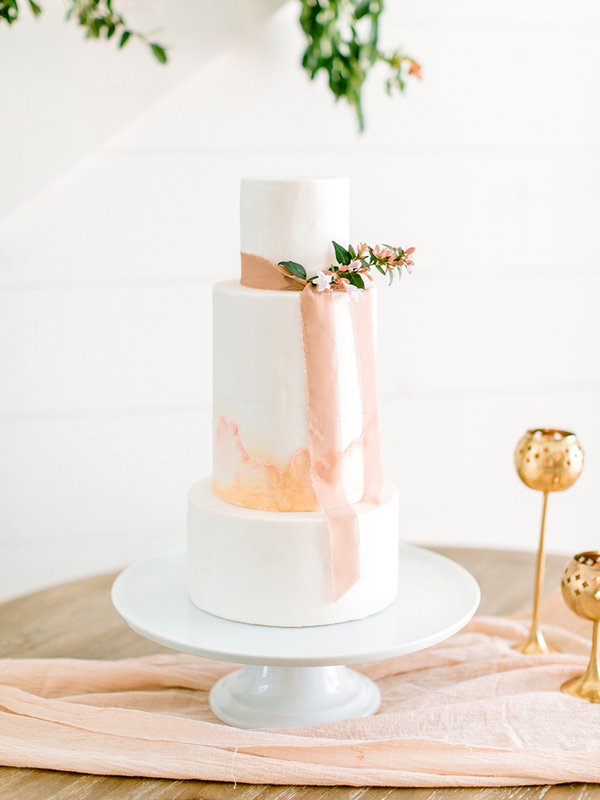 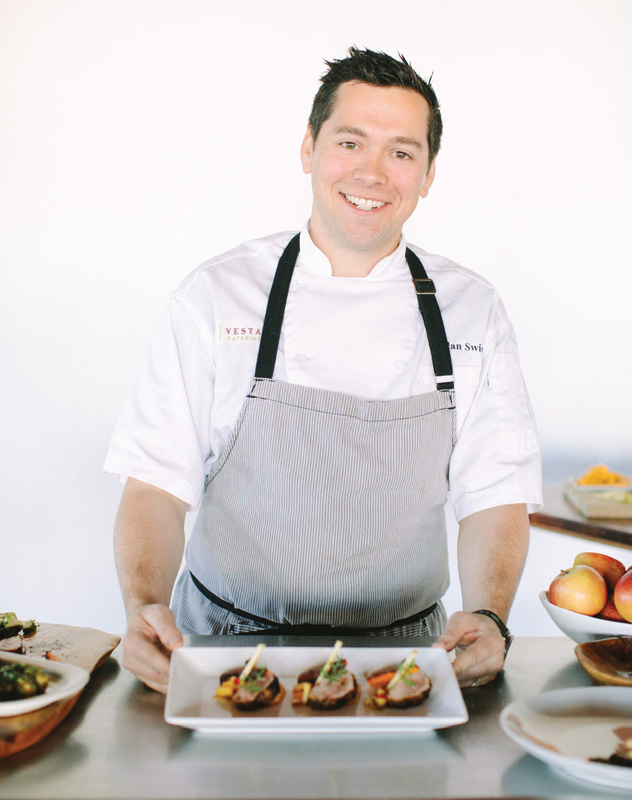 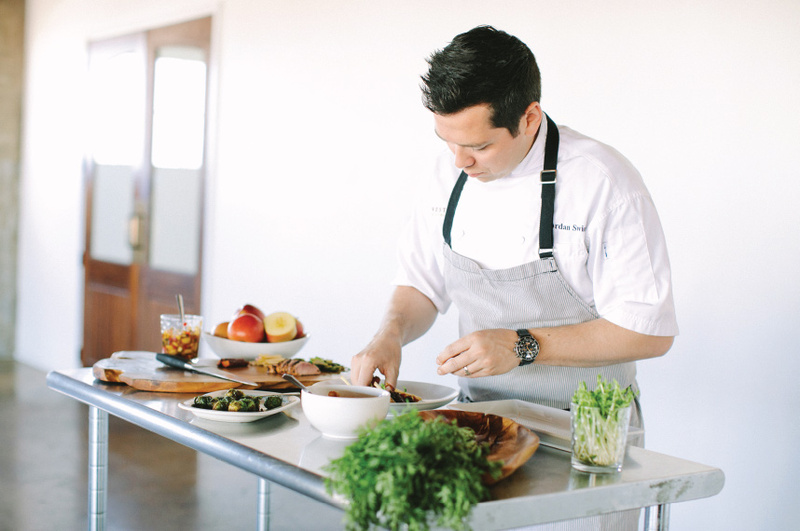 In the latest issue of Brides of North Texas, we were thrilled to give our readers a peek inside the kitchen with the top DFW wedding caterers! 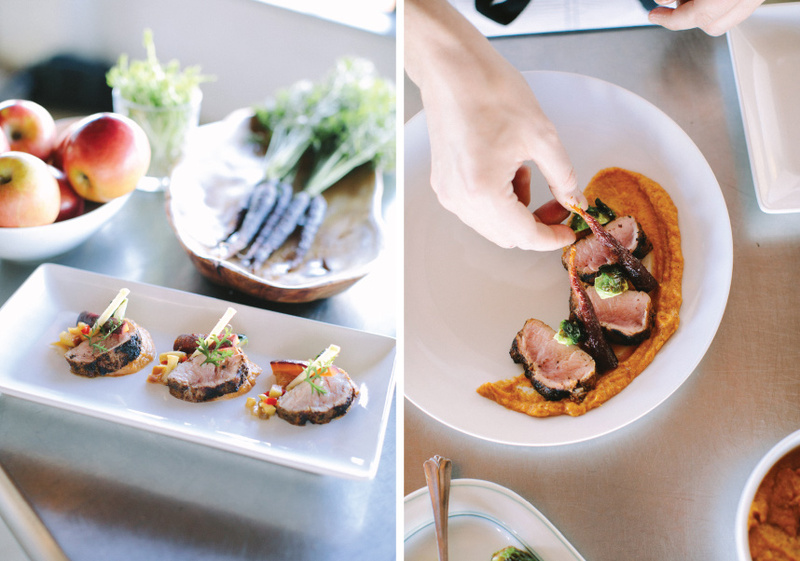 Captured by Tyler + Lindsey at Hickory Street Annex, this inside look at the amazingly talented chefs and the delicious dishes they prepare is such a treat and will definitely leave your mouths watering! 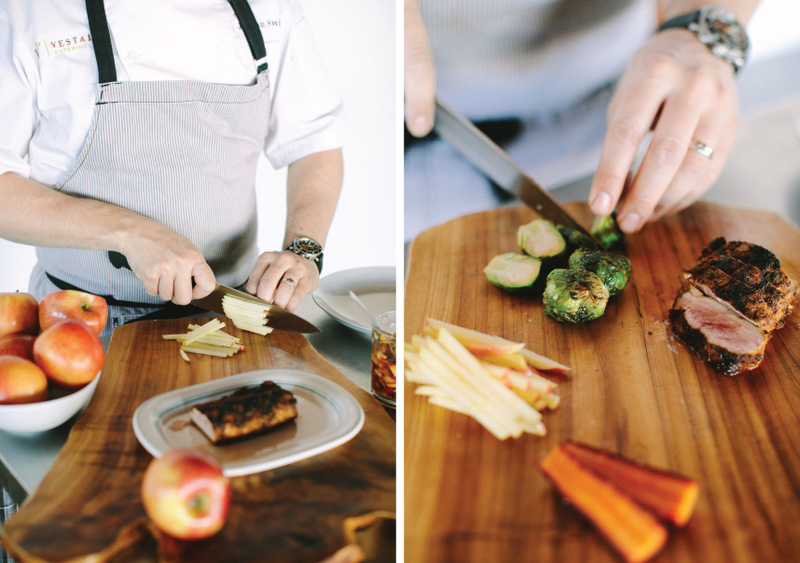 We’re super excited to kick things off today with a profile of Vestals Catering! 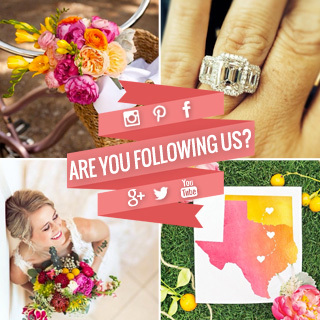 Stay tuned as we share more from DFW caterers featured on the pages of Brides of North Texas. 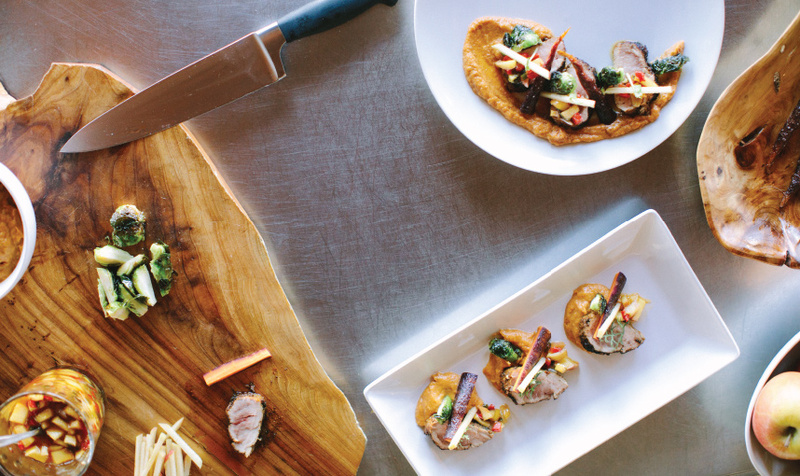 Signature spice rubbed Berkshire pork tenderloin, East Texas sweet potato puree, apple chutney and market selection of fall vegetables. 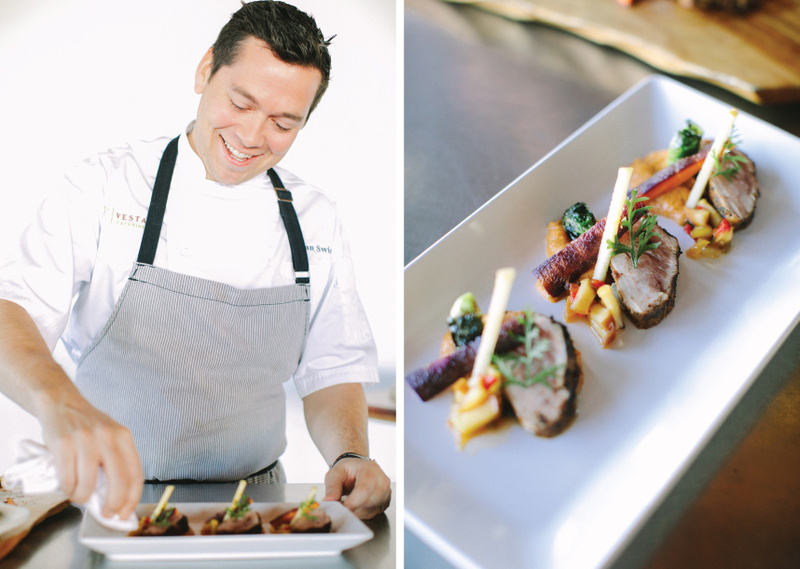 “We pride ourselves in our private tasting experience. 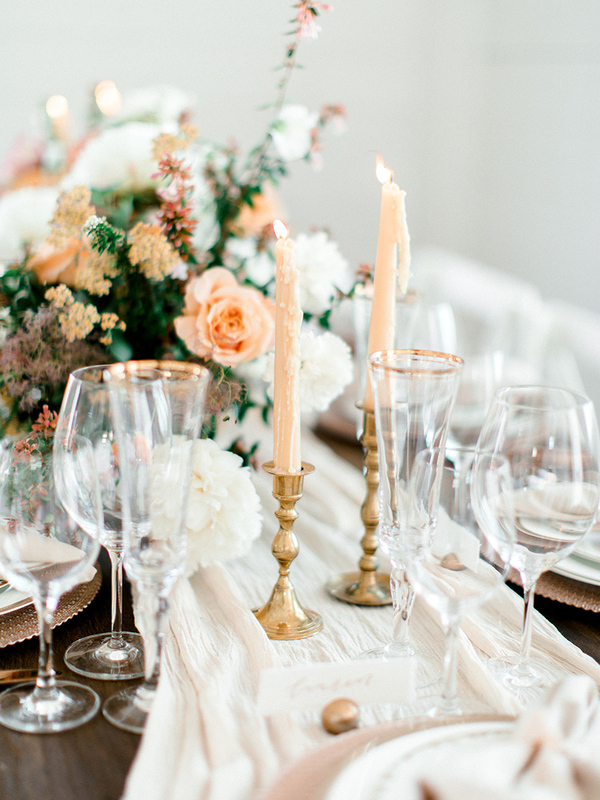 This is where we are able to wrap our arms around the planning couple and allow them to truly ‘taste hospitality’ while we create and finalize the details of their wedding day.